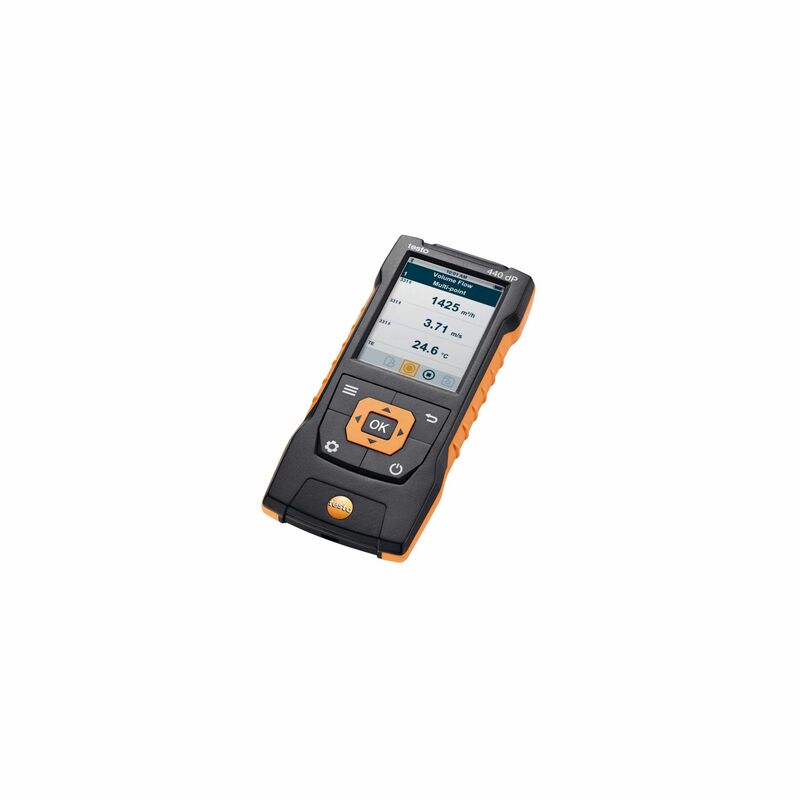 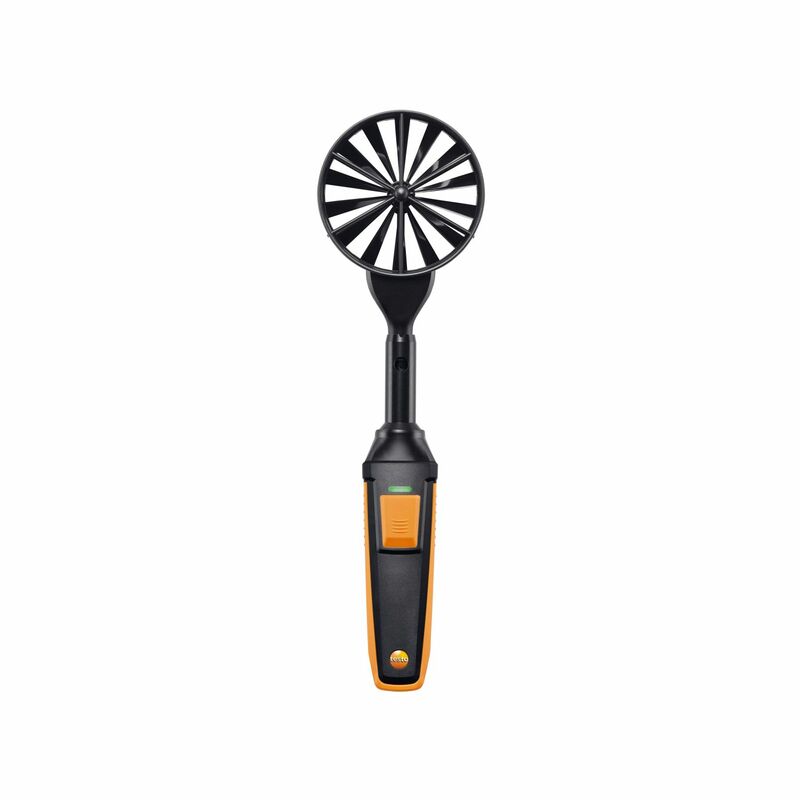 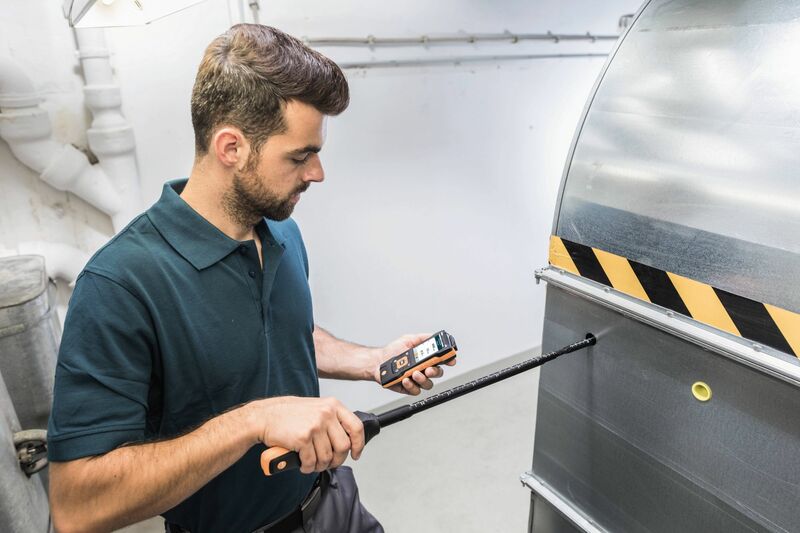 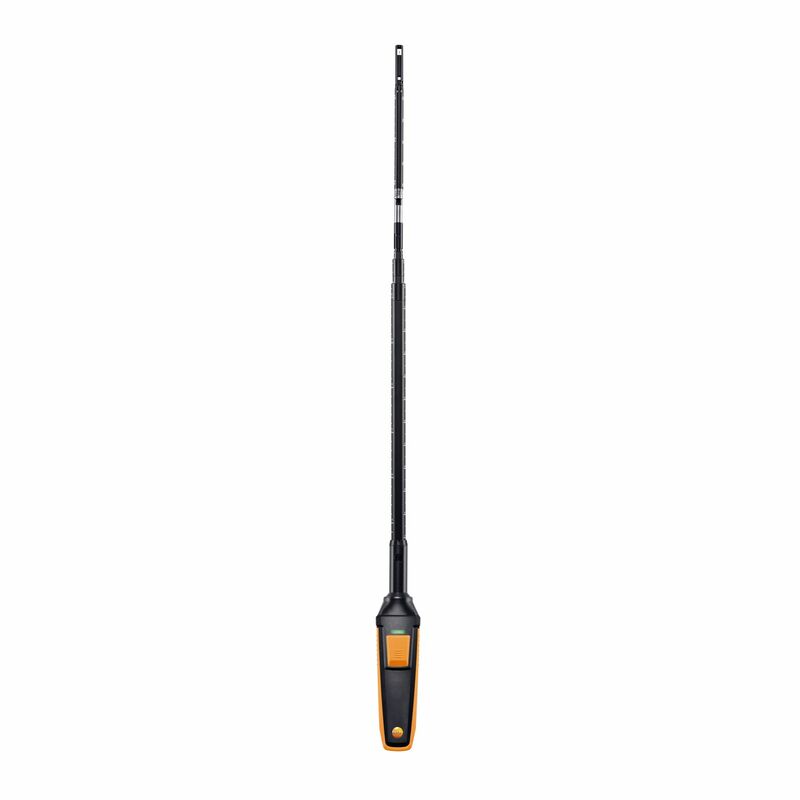 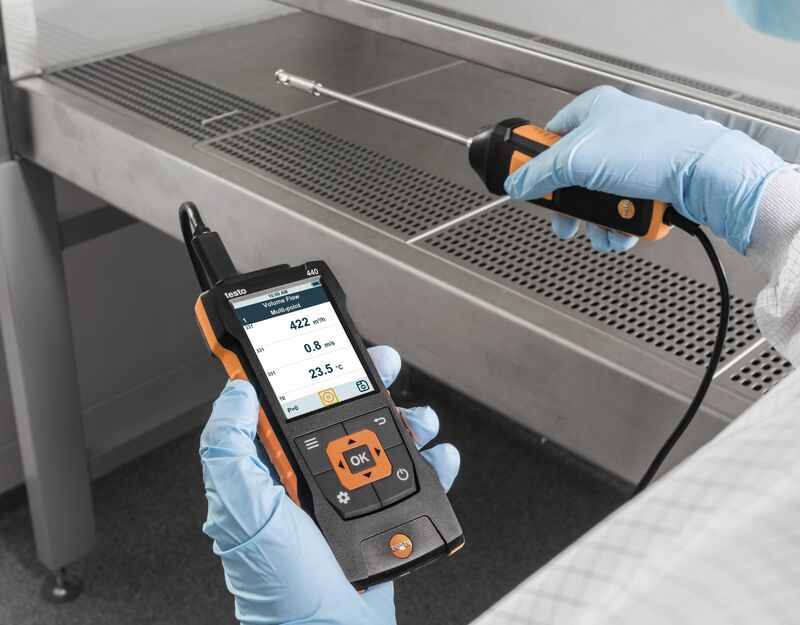 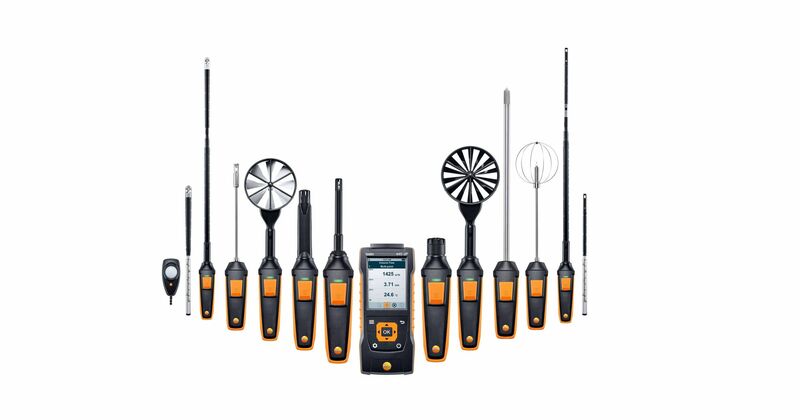 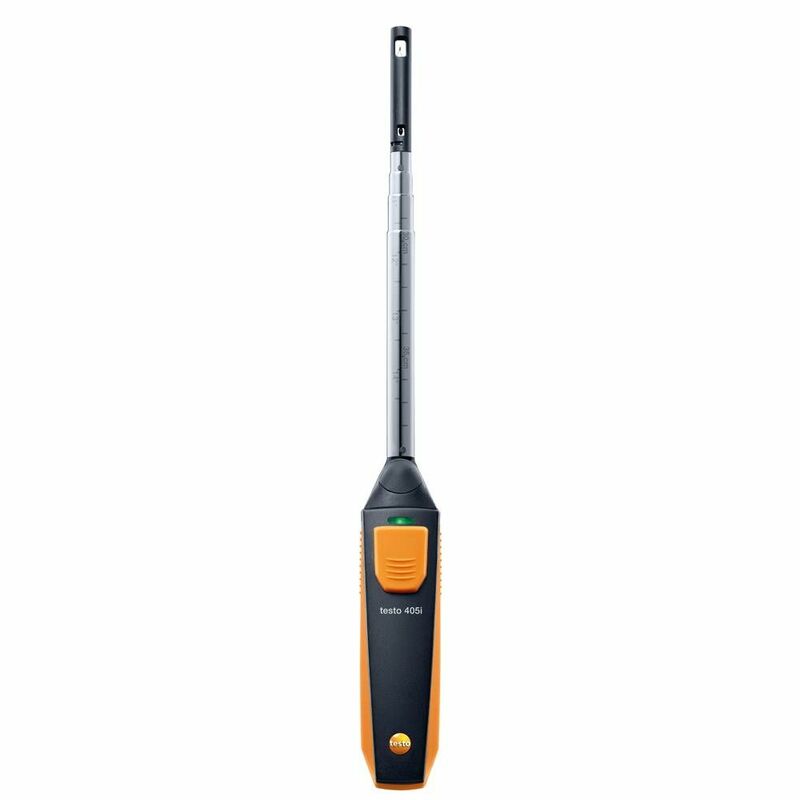 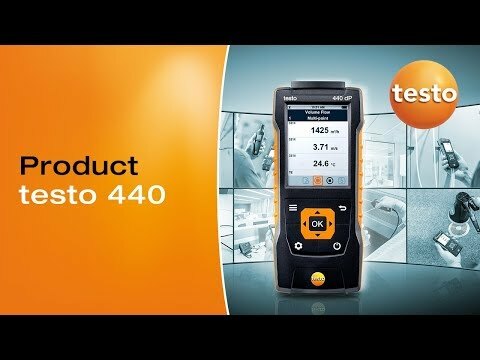 Use the testo 440 dP air velocity and IAQ measuring instrument in combination with the high-quality, digital probes to measure and store all air velocity and IAQ parameters (please order probes separately). 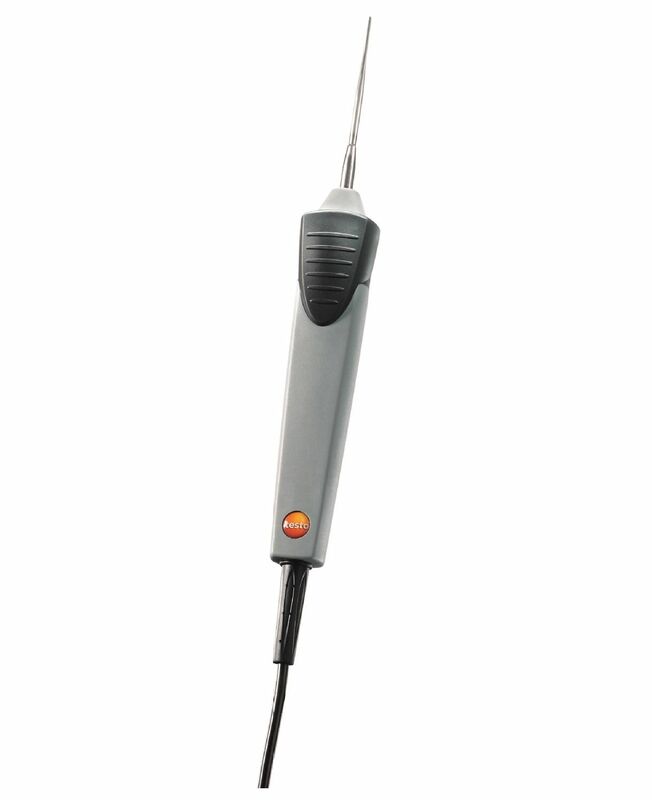 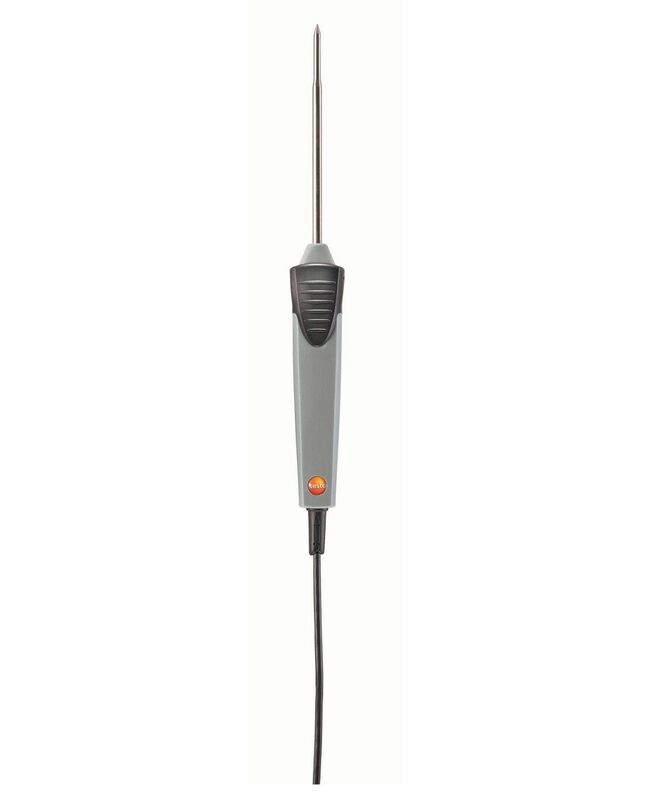 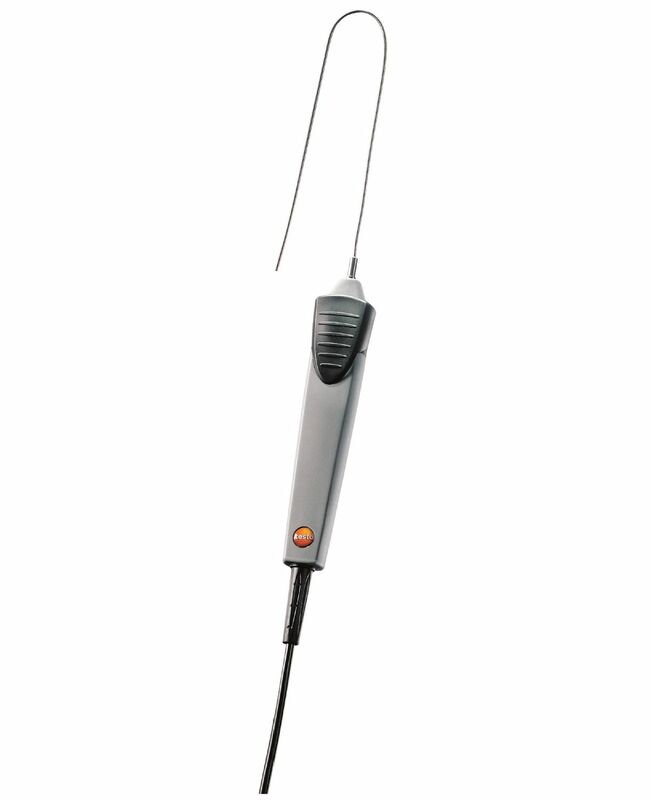 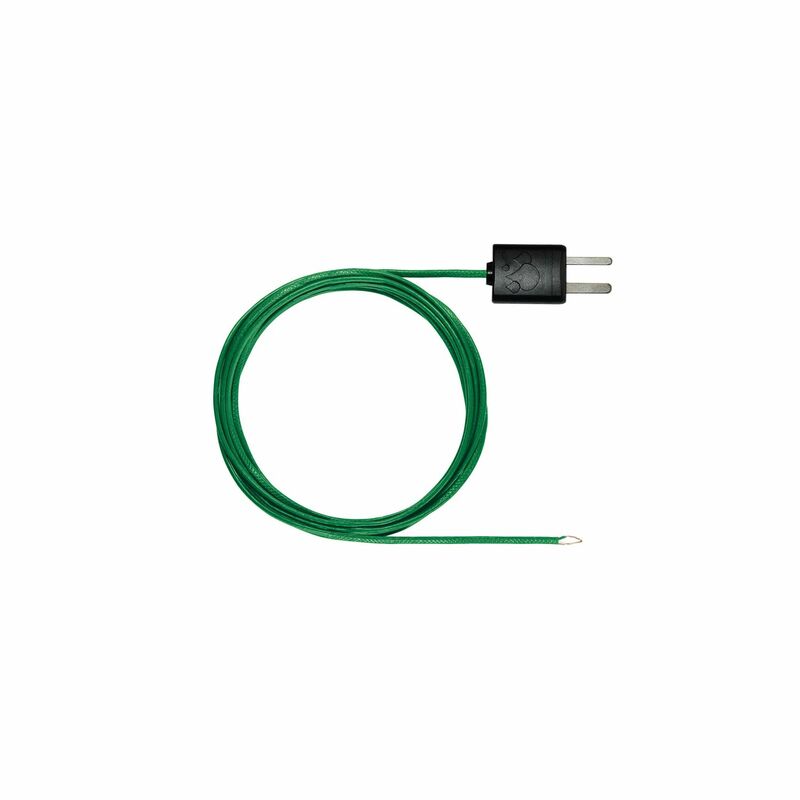 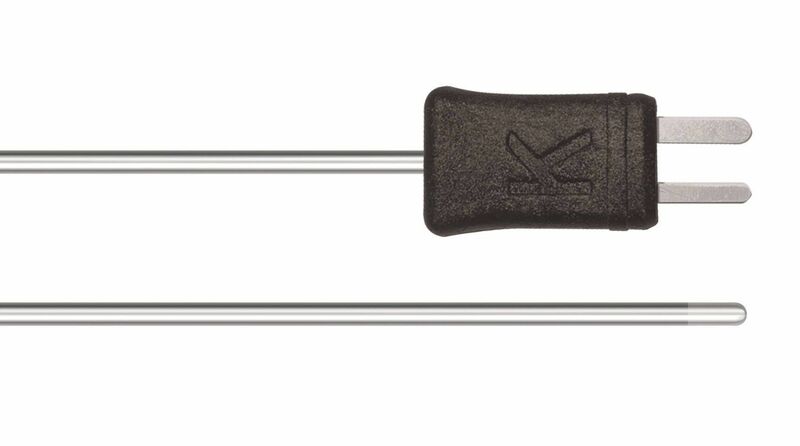 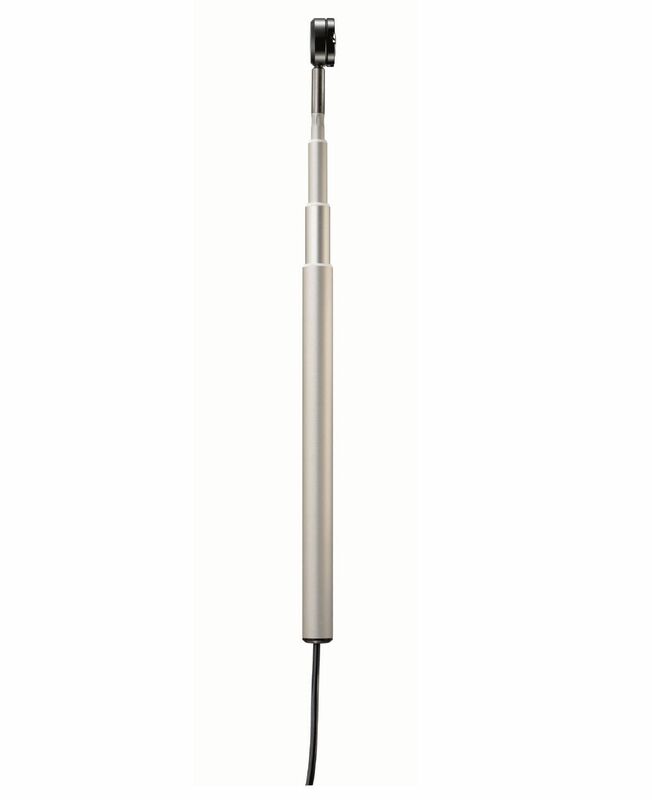 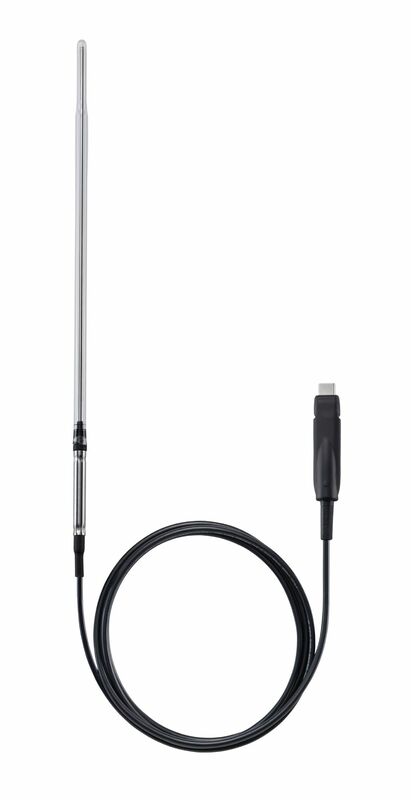 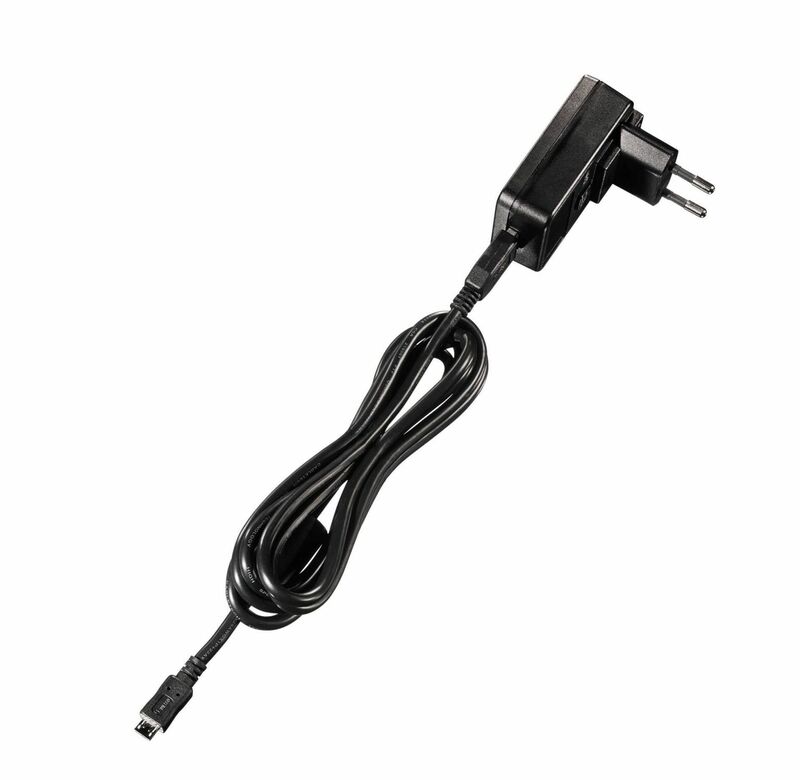 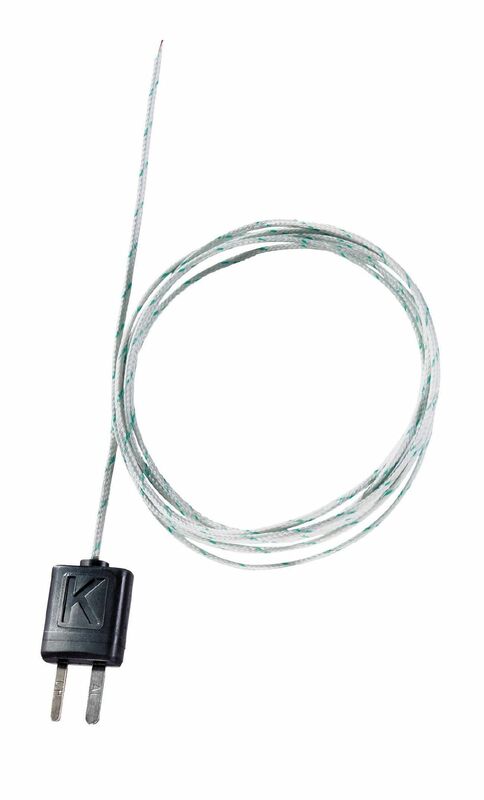 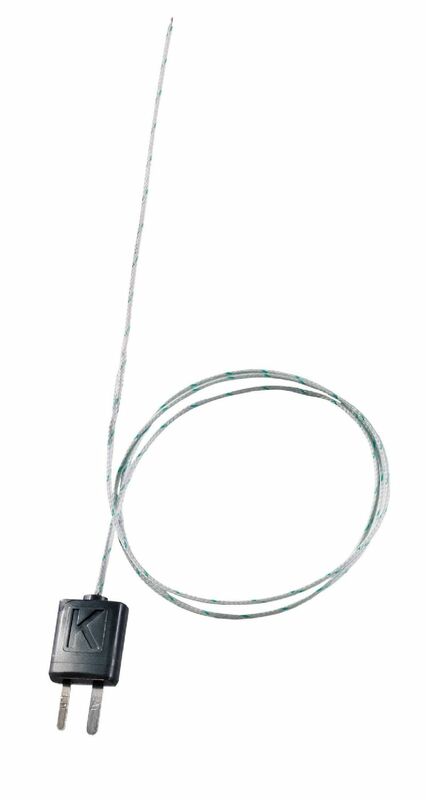 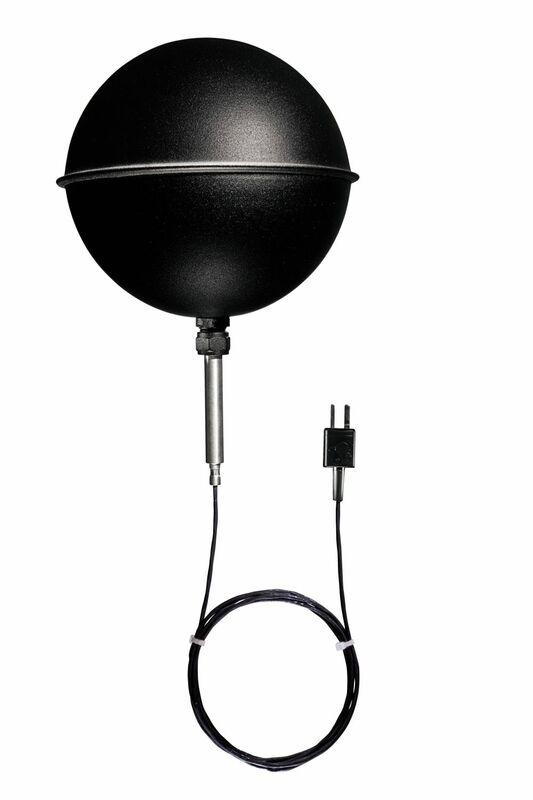 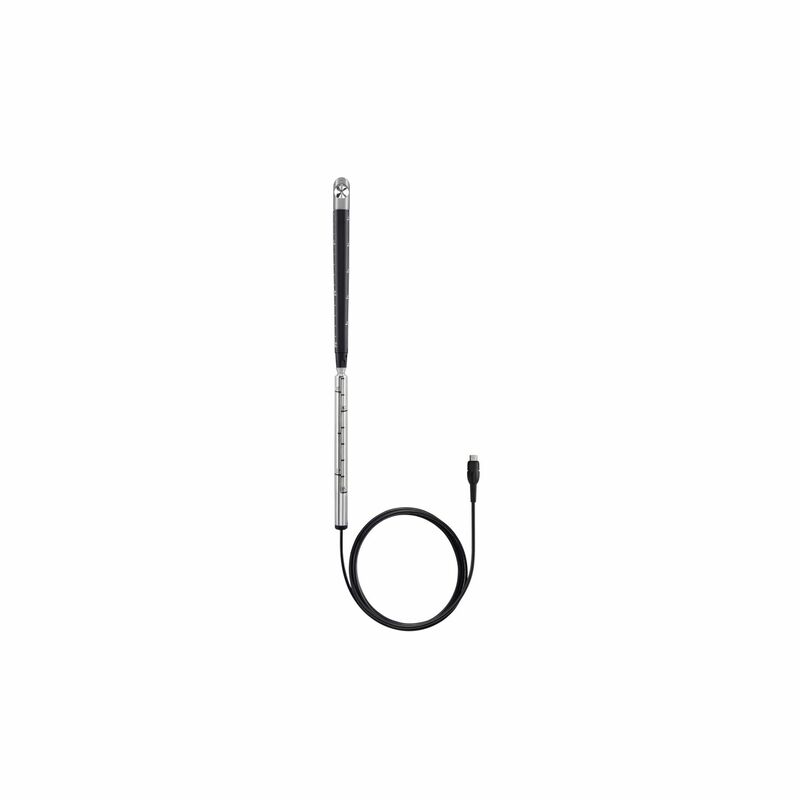 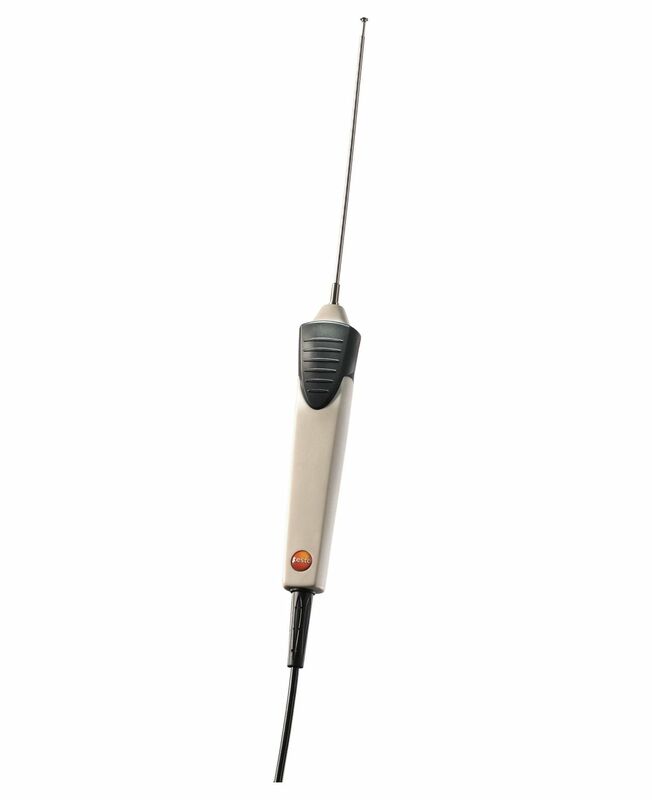 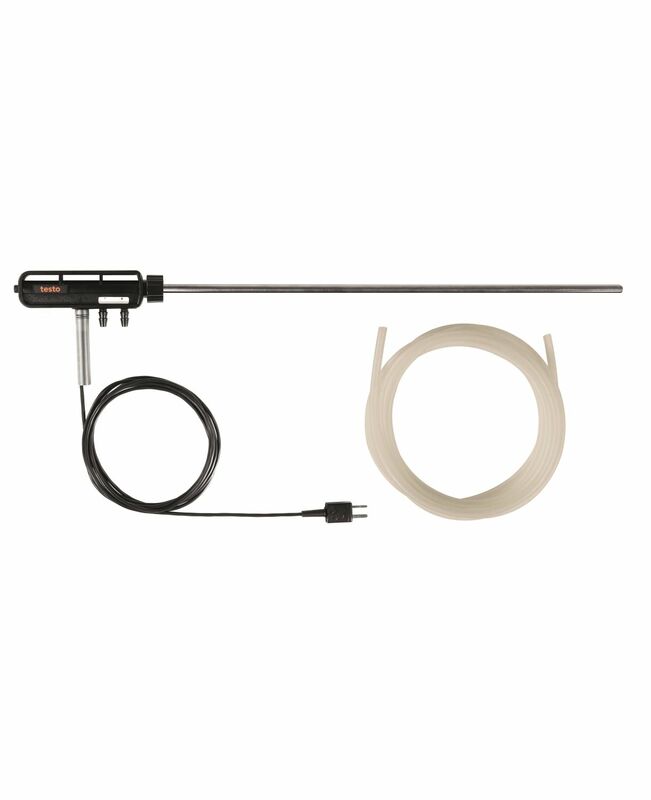 Up to 3 probes can be connected simultaneously: a Bluetooth probe, a wired probe and a temperature probe with type K thermocouple connector. 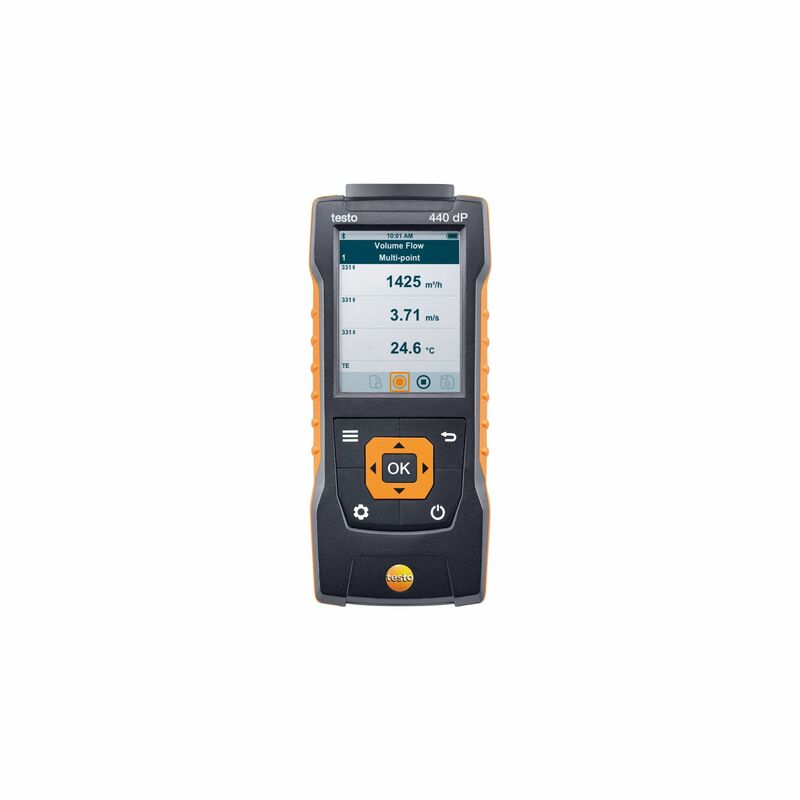 Automatic probe detection and clearly structured measurement menus guarantee simple operation and will make your day-to-day work easier. 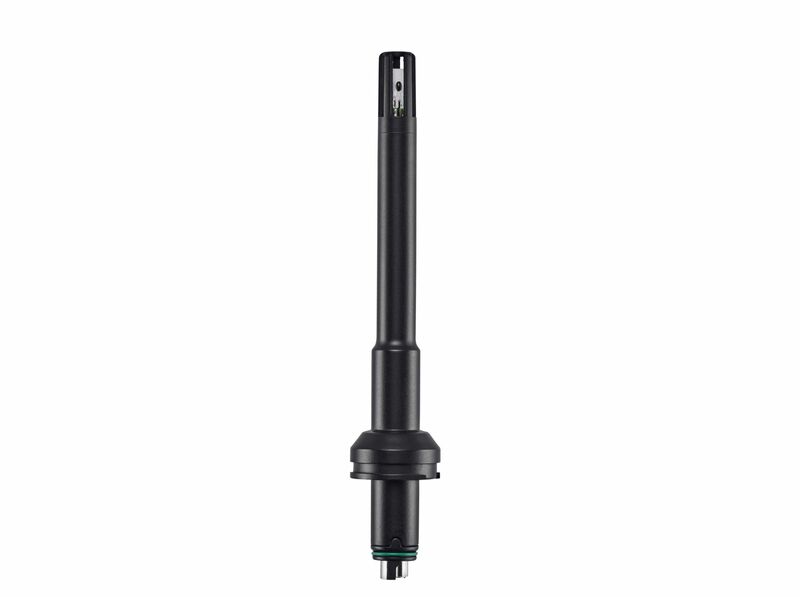 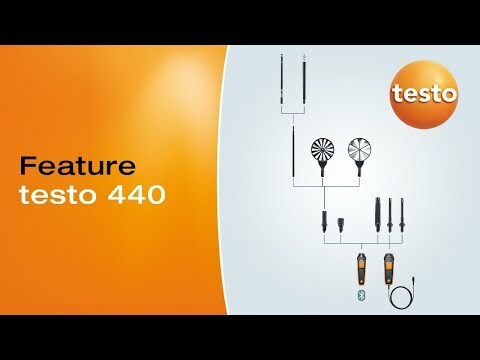 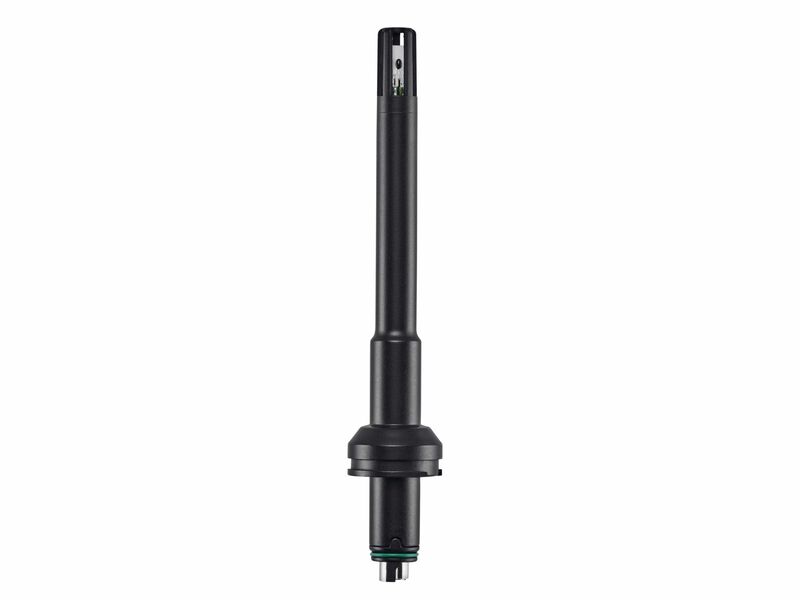 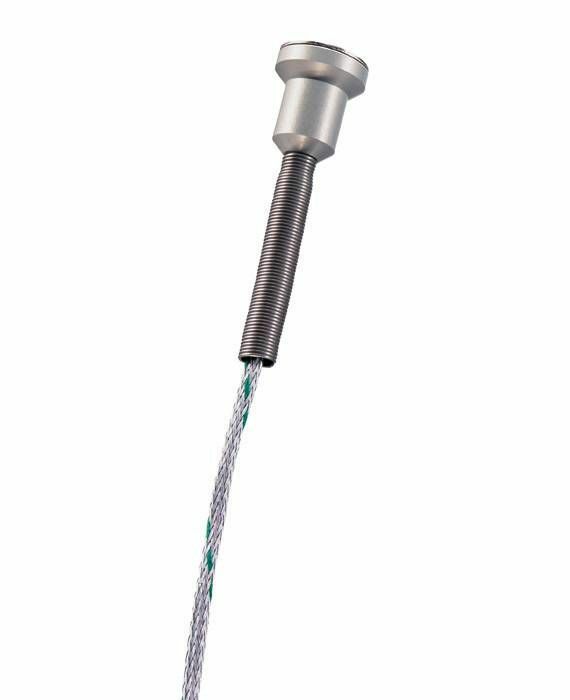 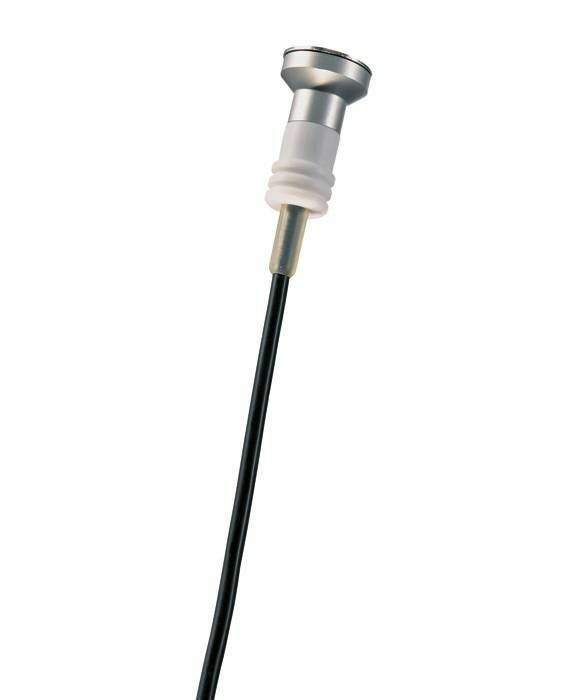 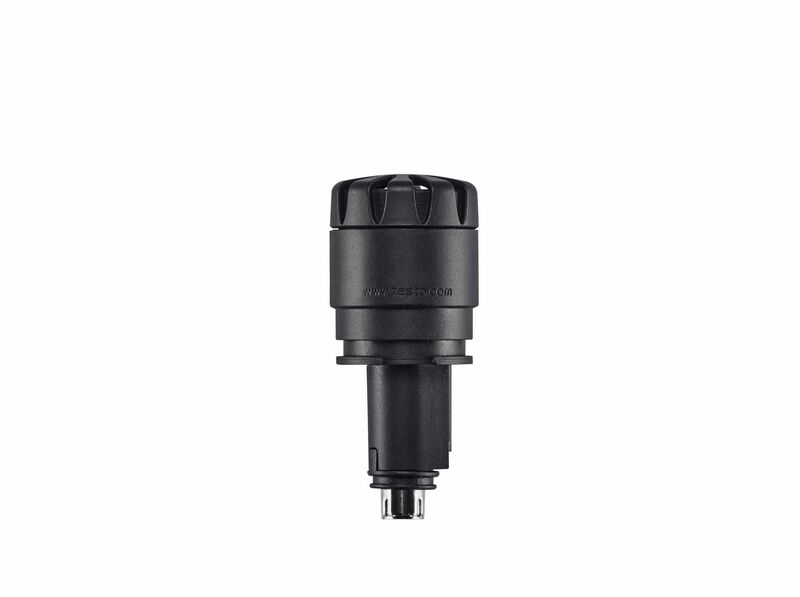 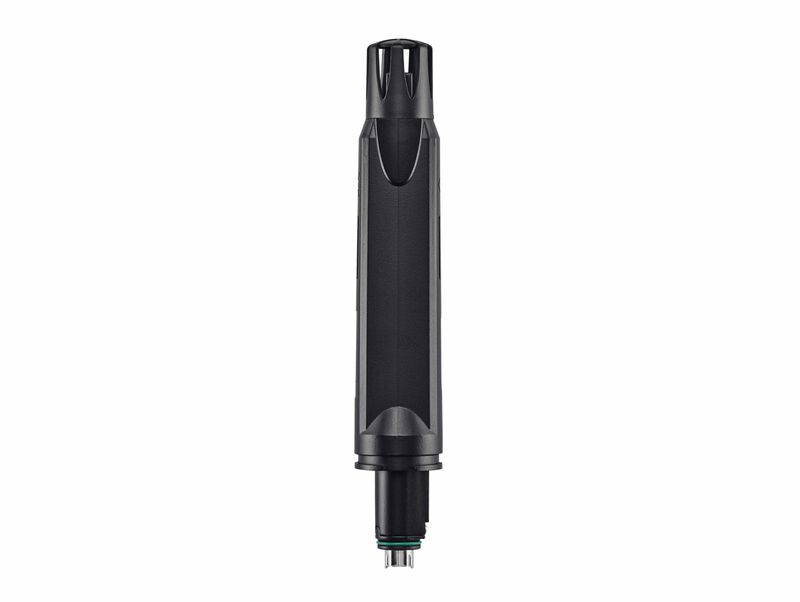 A differential pressure sensor is already integrated in the testo 440 dP. 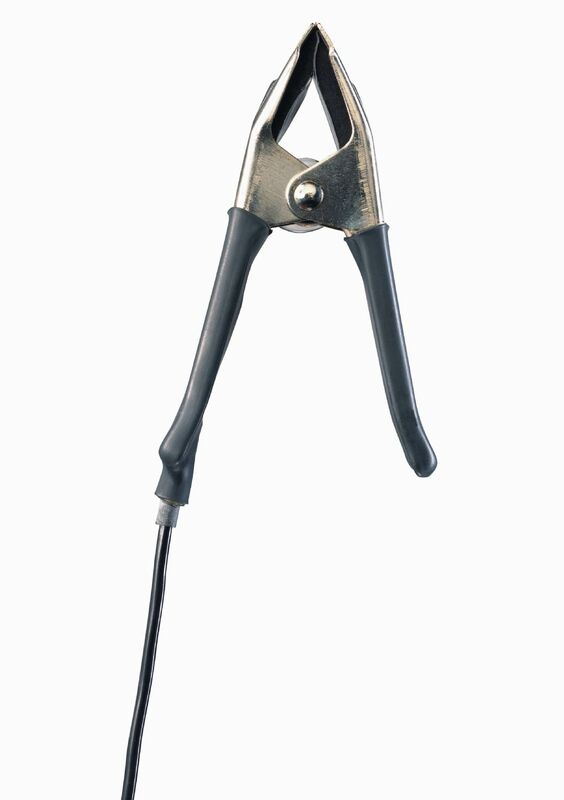 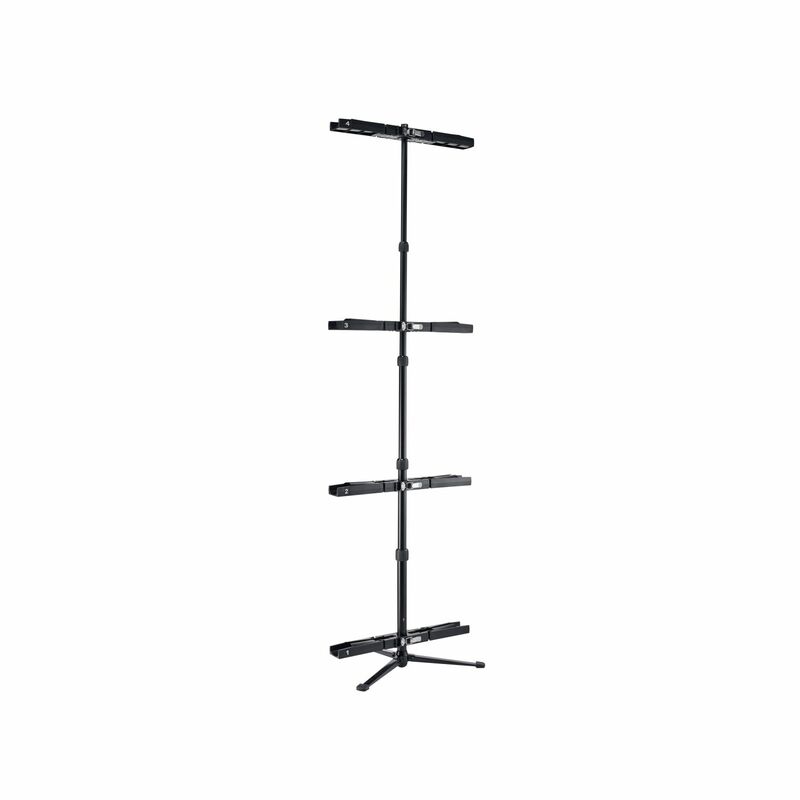 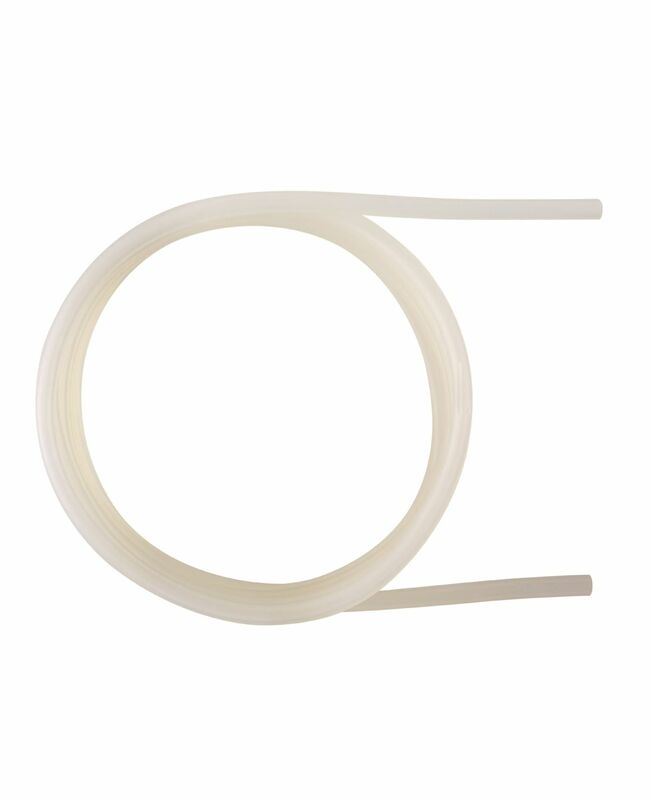 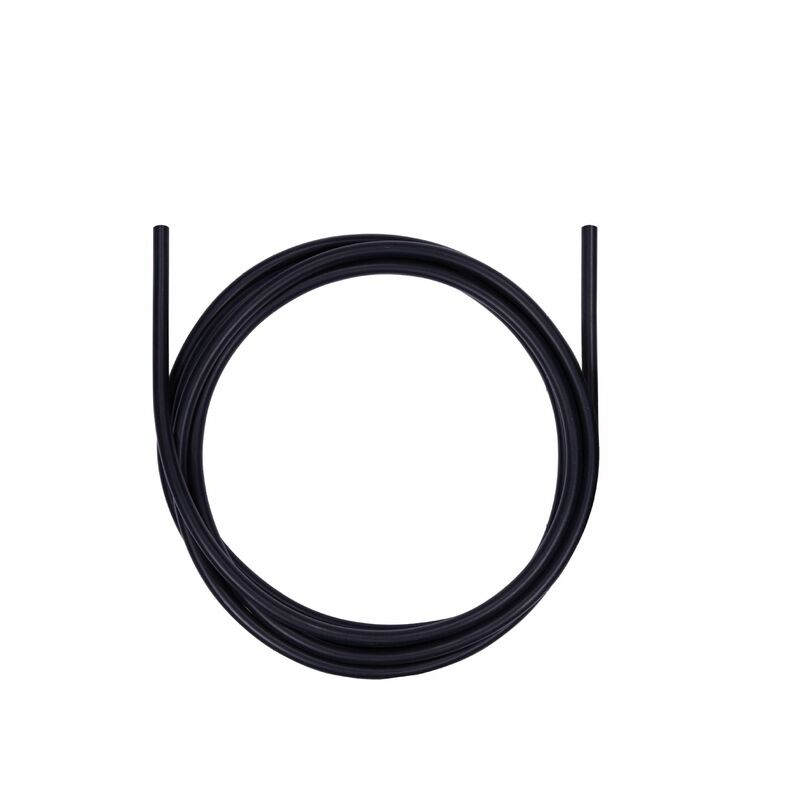 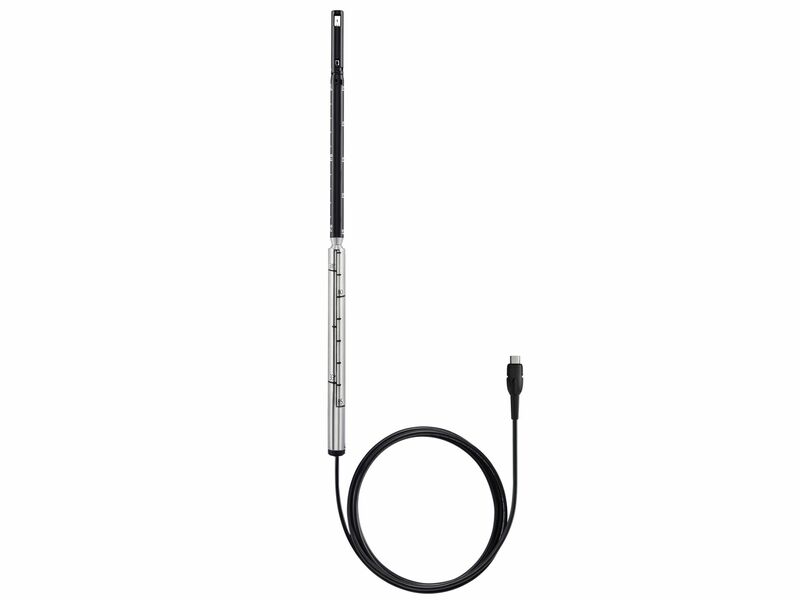 This makes it possible to carry out measurements on filters and fans, as well as Pitot tube and K-factor measurements (please order Pitot tube separately). 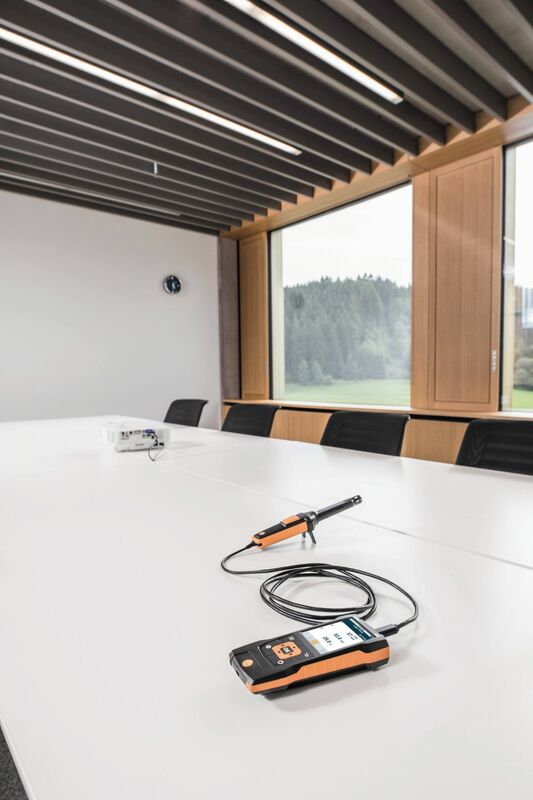 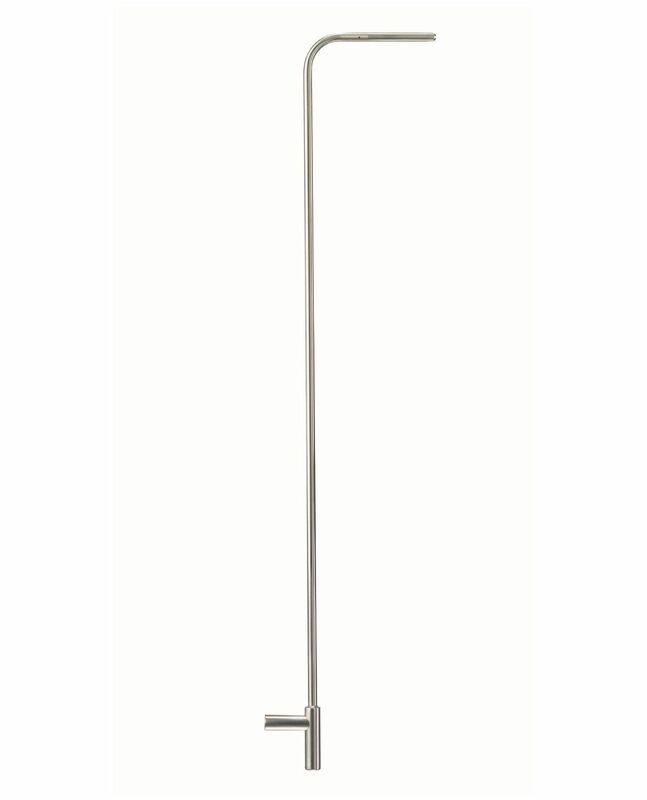 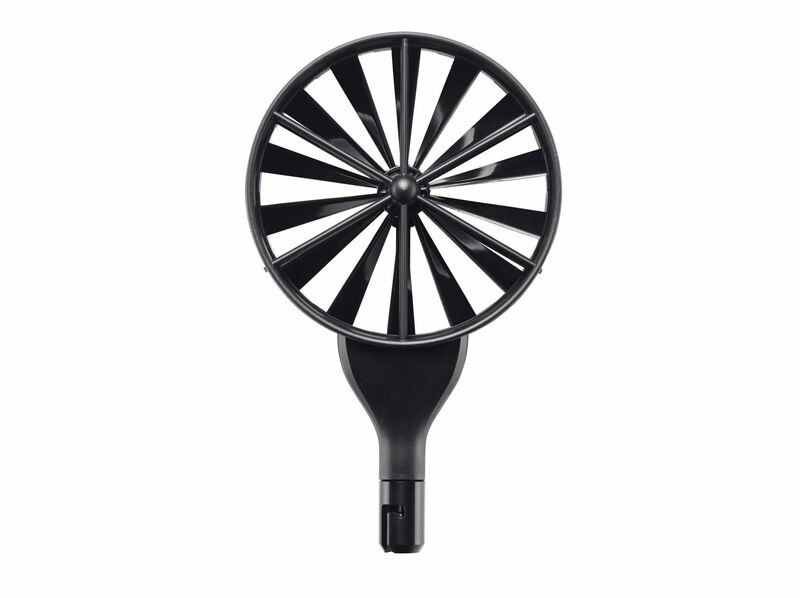 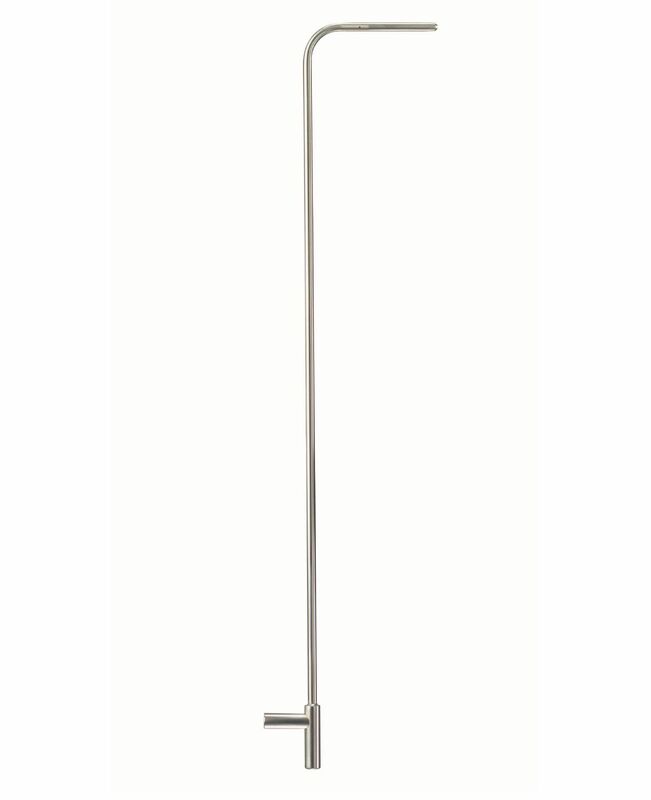 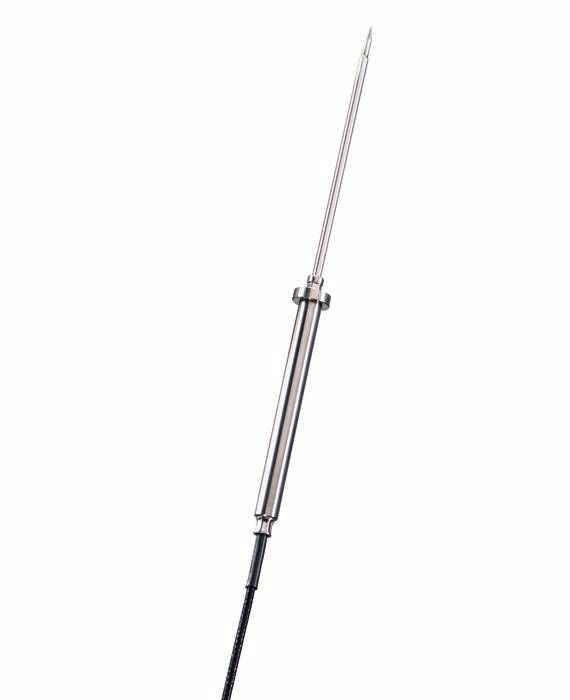 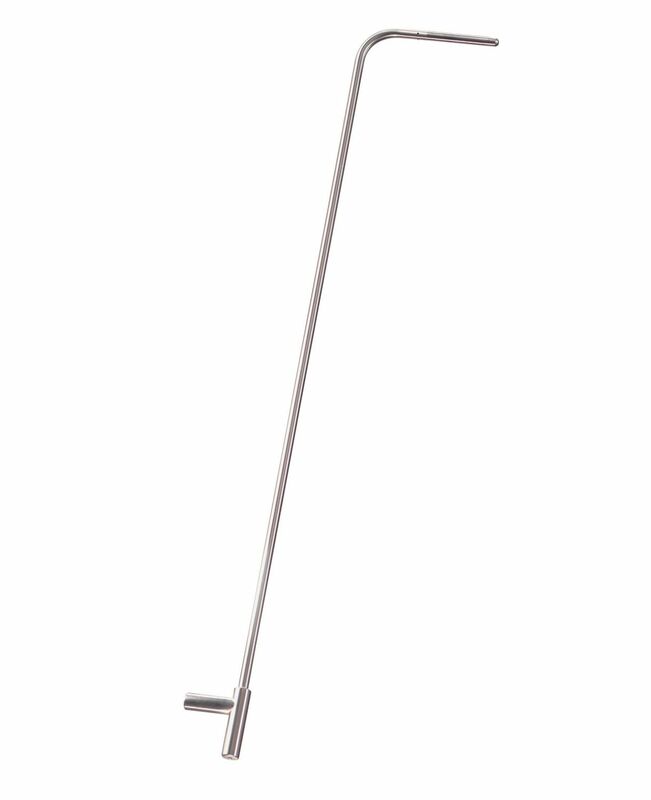 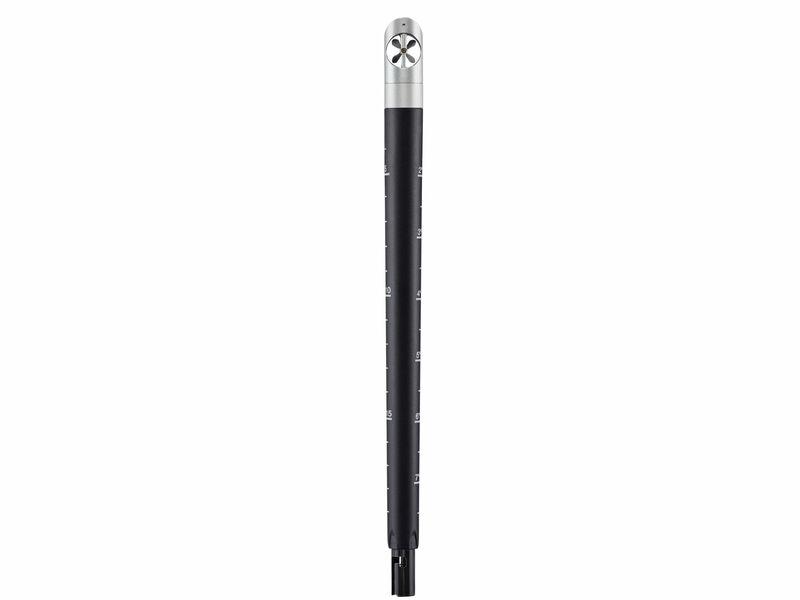 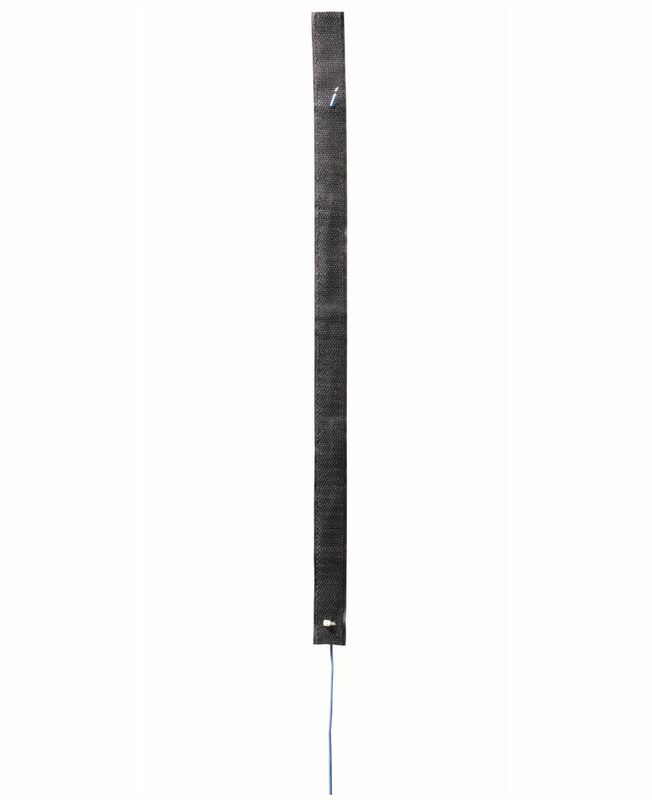 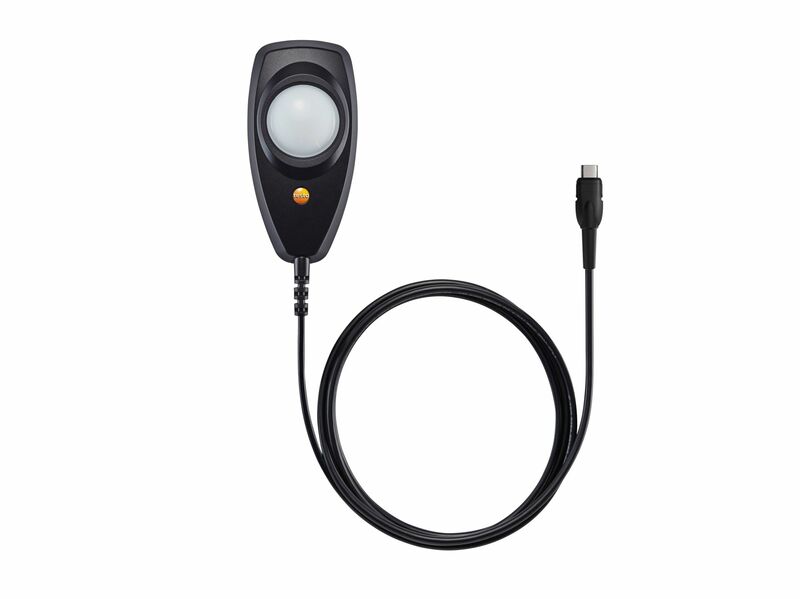 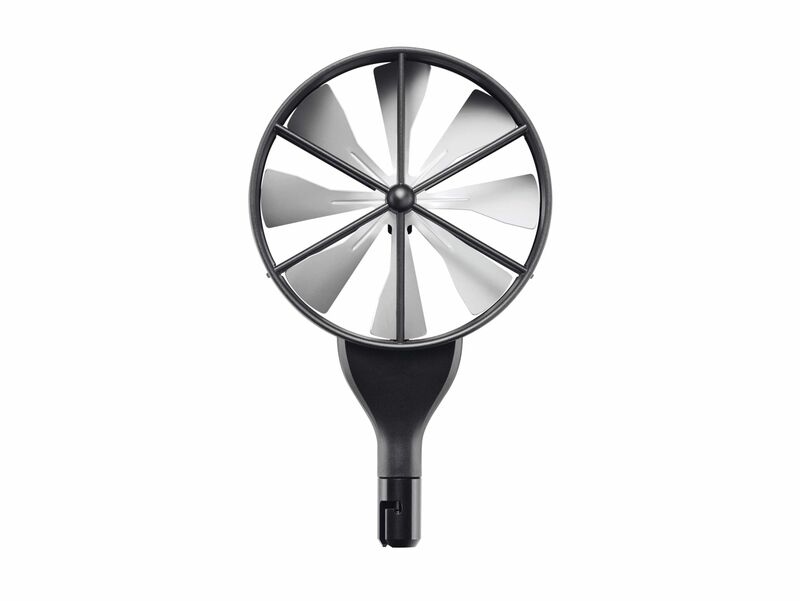 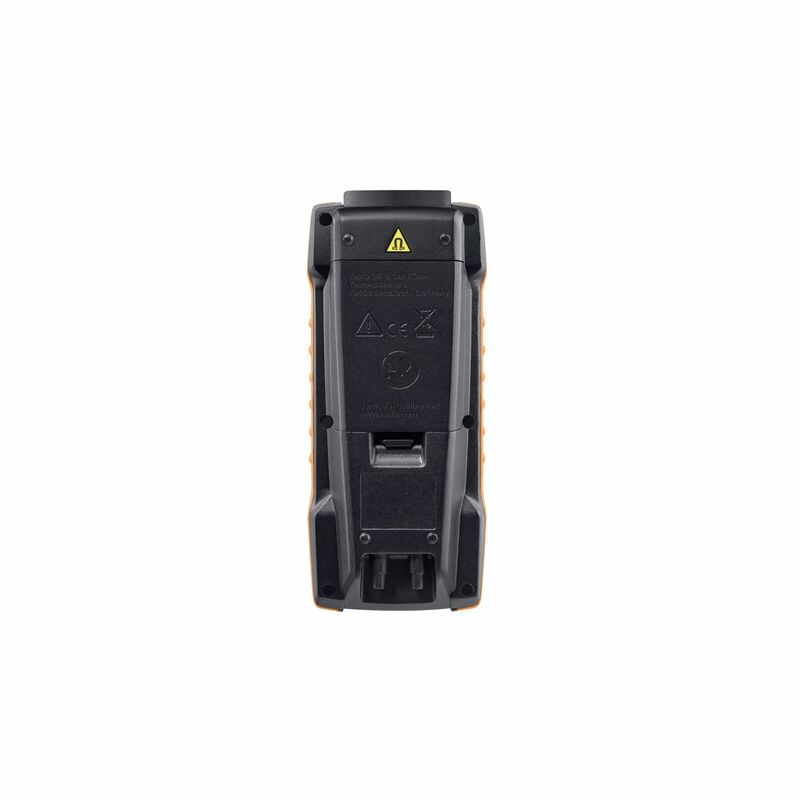 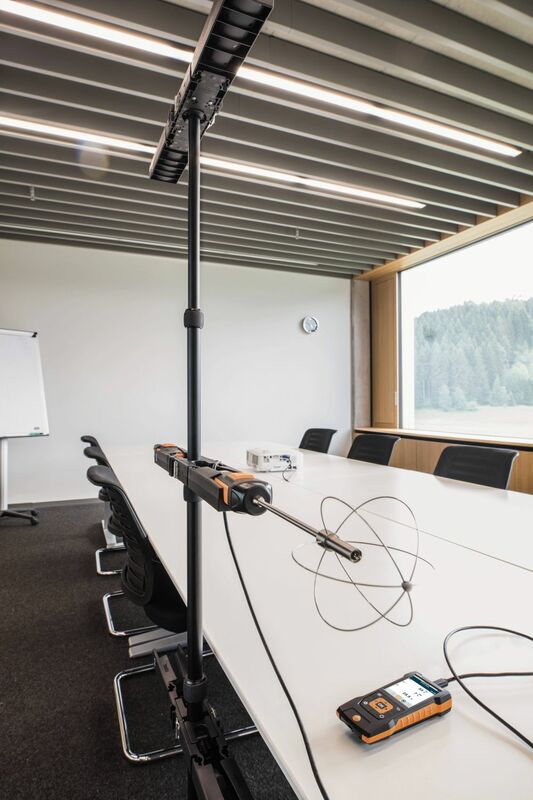 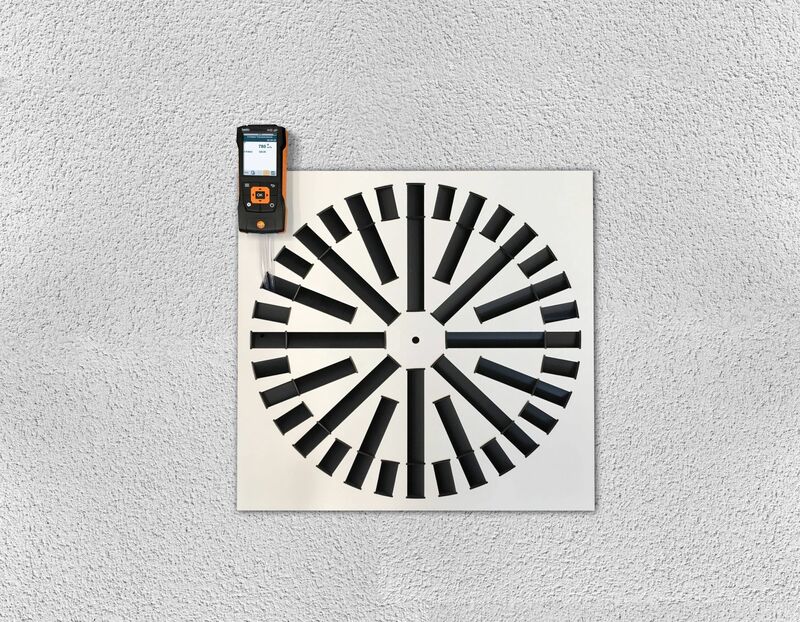 Carry out your measurements quickly and easily: the air velocity and IAQ measuring instrument automatically detects each connected probe. 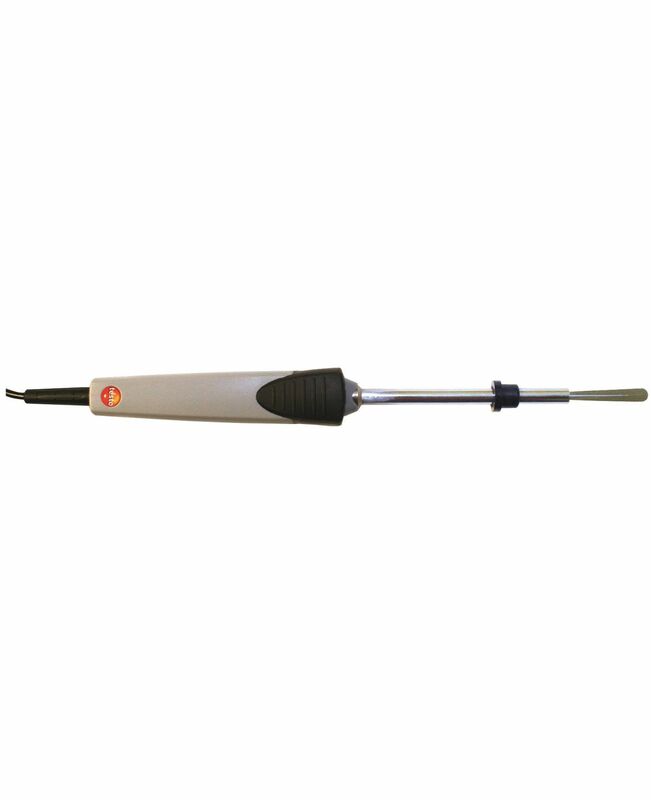 This means that there is no need for you to manually reset the parameters when changing probes. 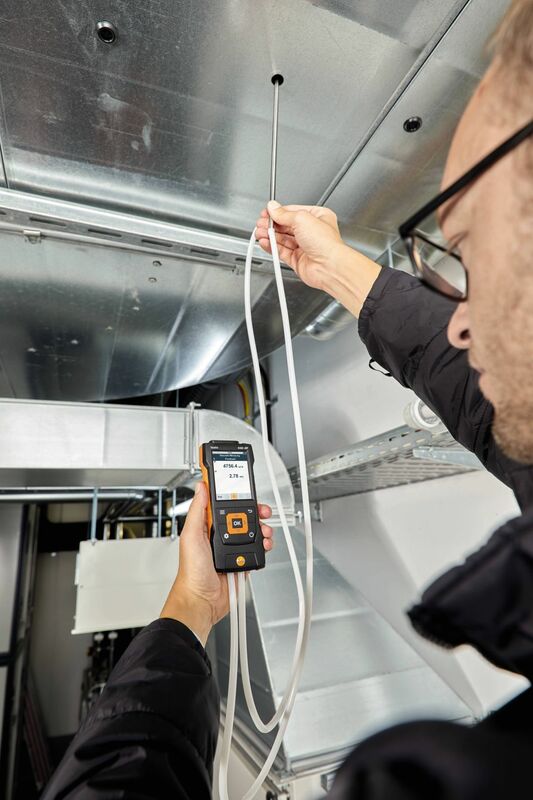 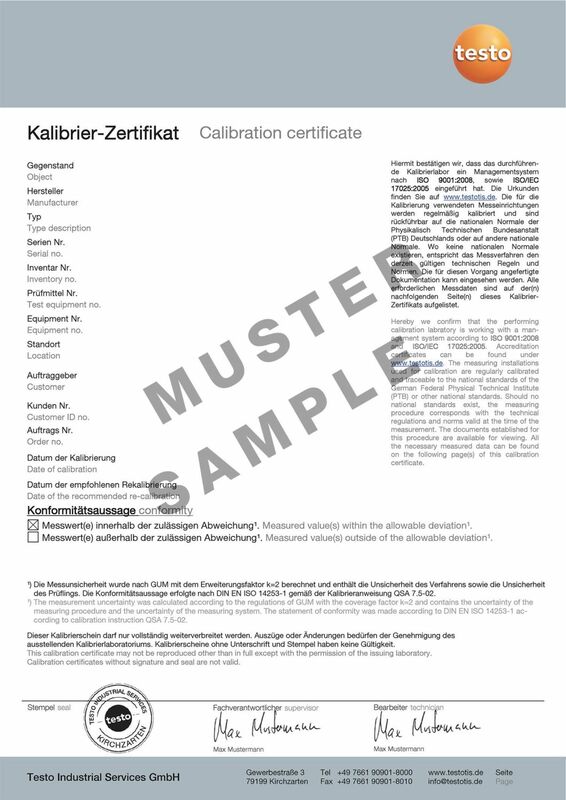 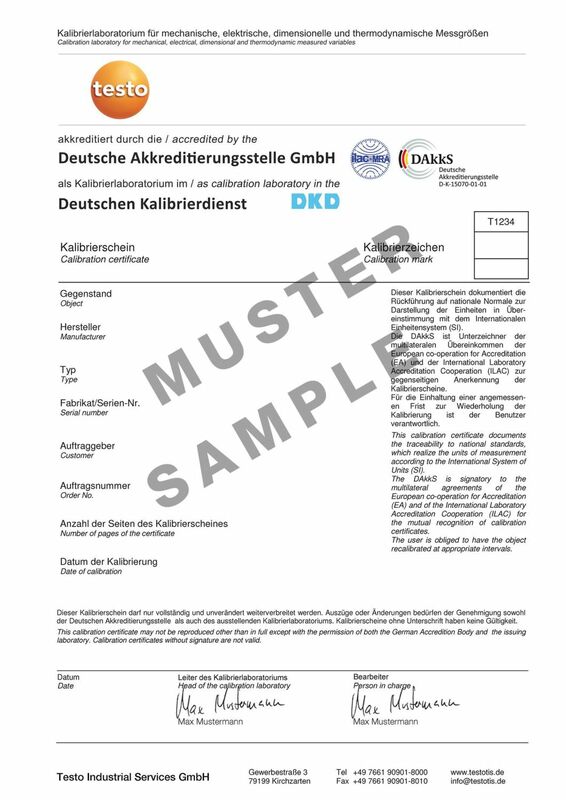 Clearly structured measurement menus for measuring the volume flow in ducts/at outlets, funnel measurement, determining the volume flow via differential pressure and K-factor, measuring the degree of turbulence, determining the cooling/heating output, mould detection and long-term measurement provide you with optimum support during your day-to-day work. 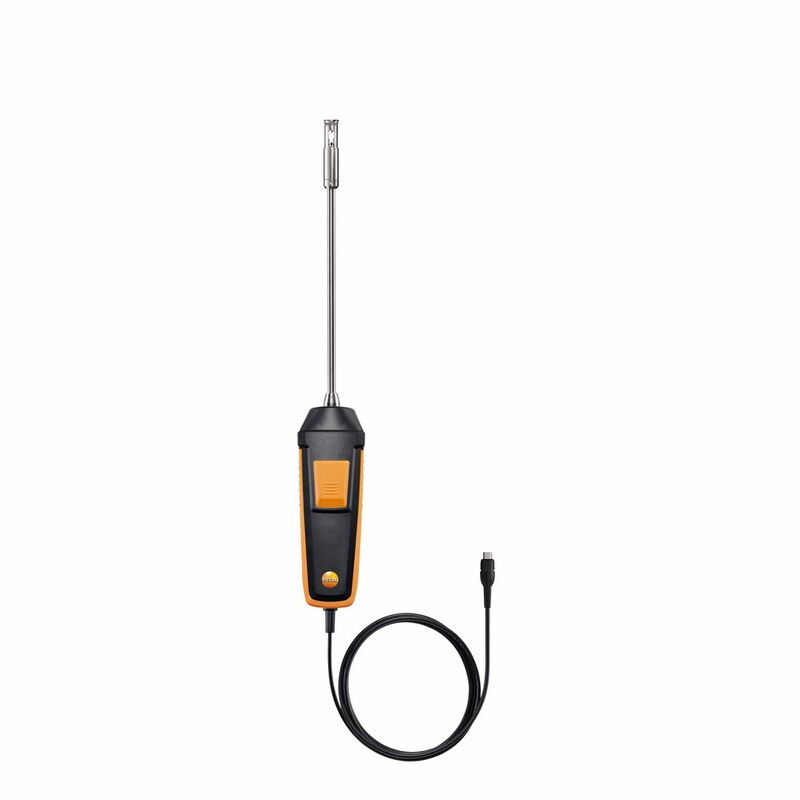 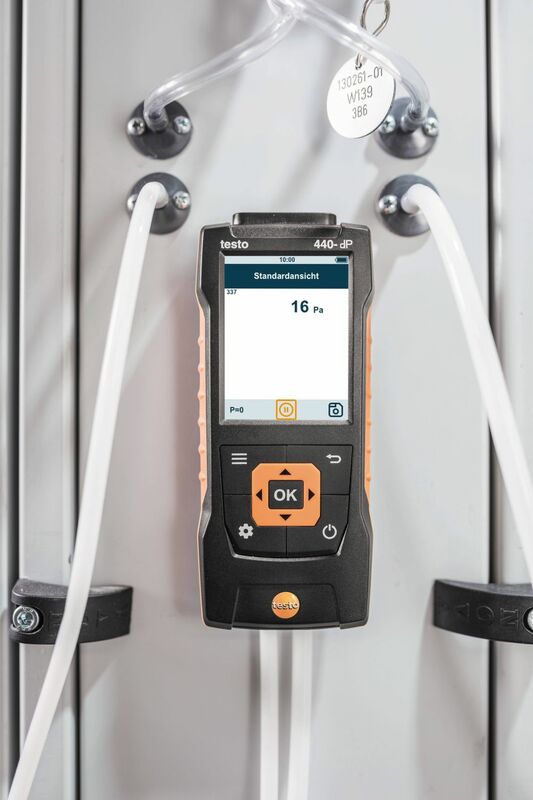 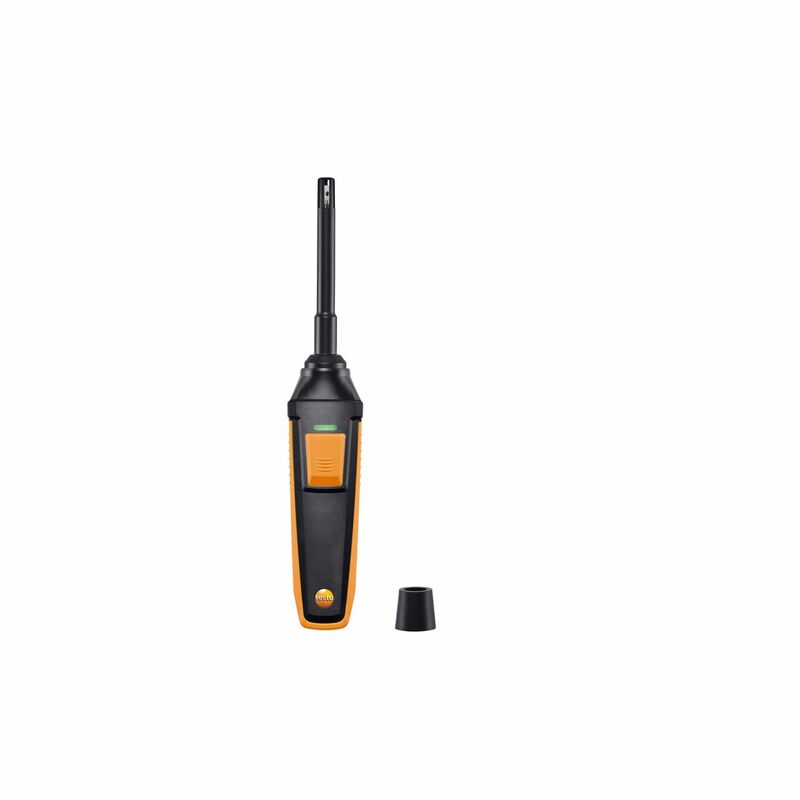 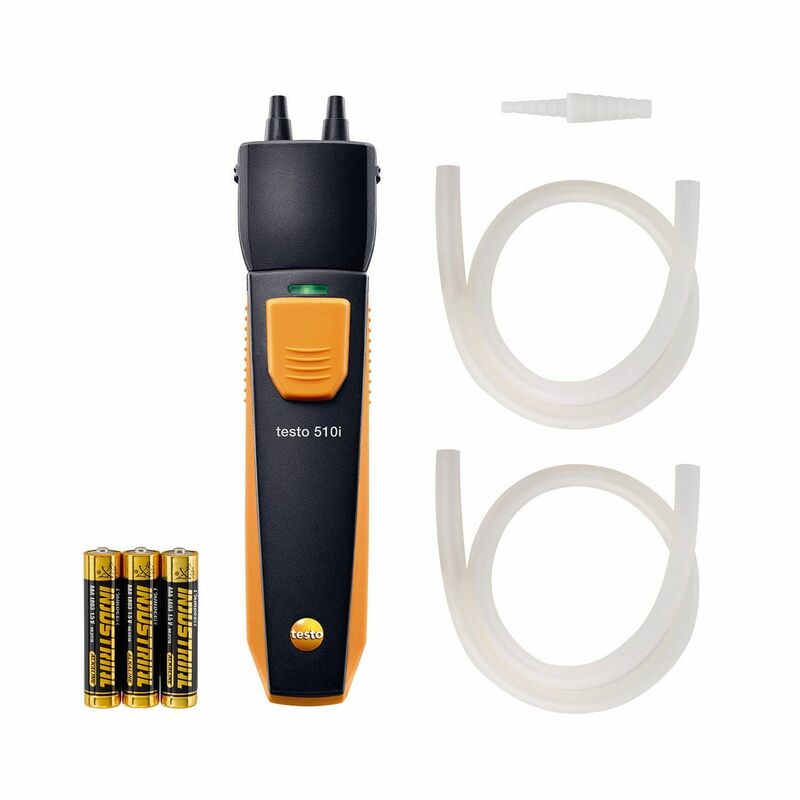 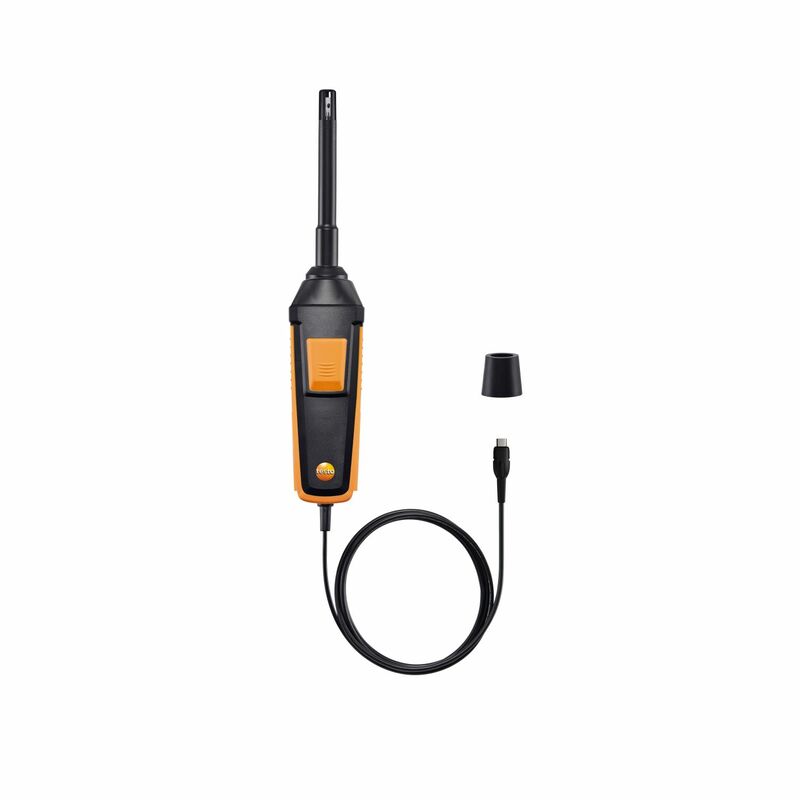 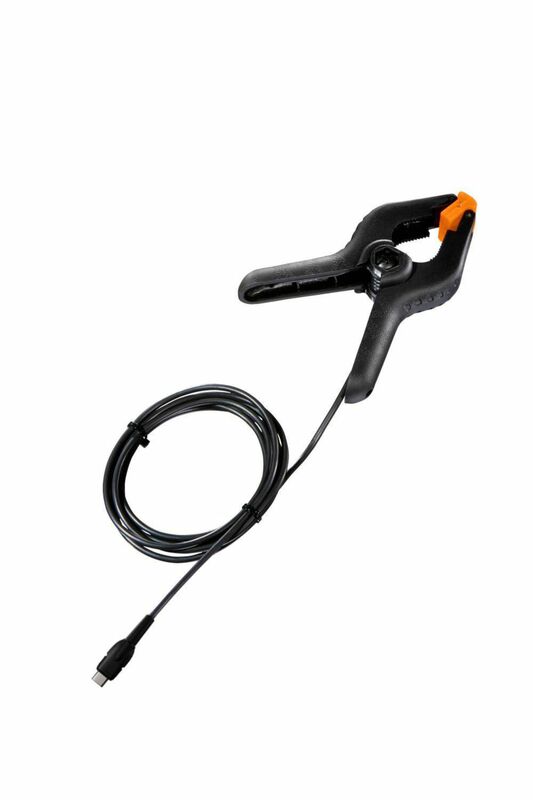 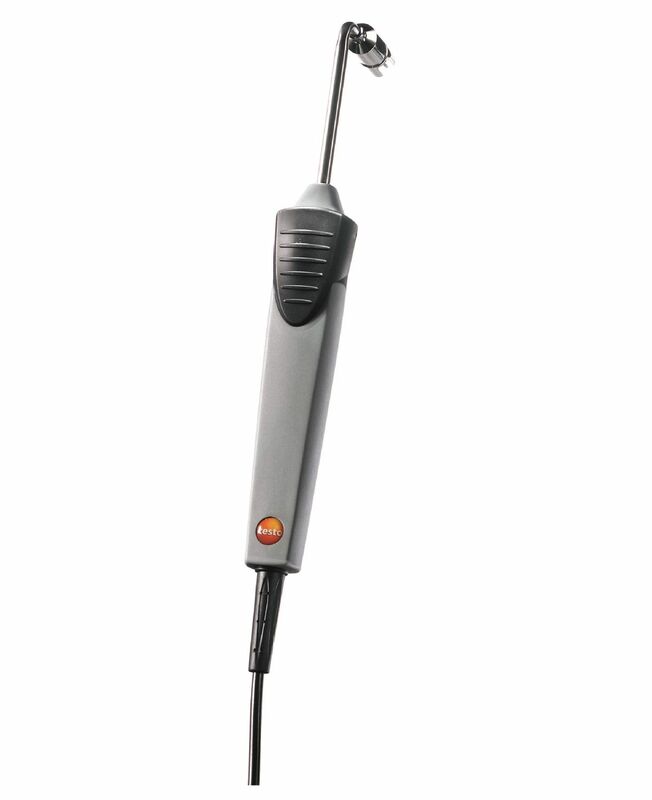 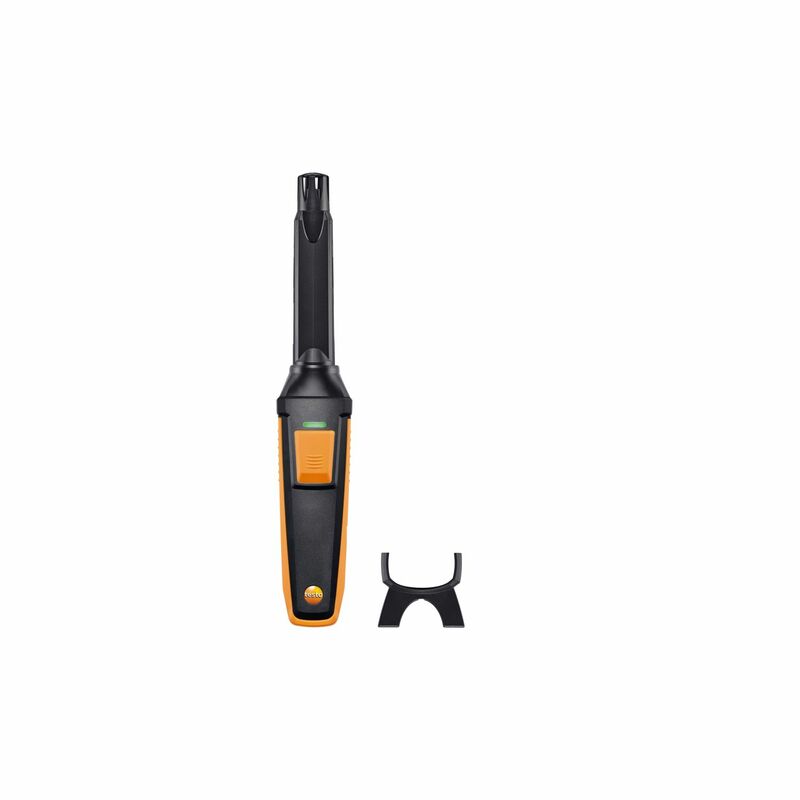 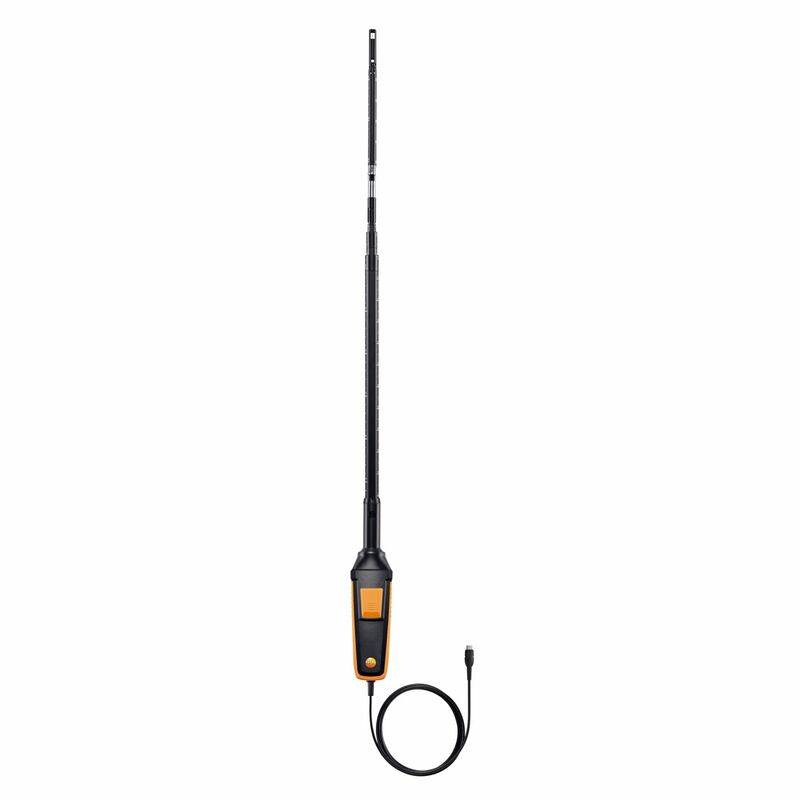 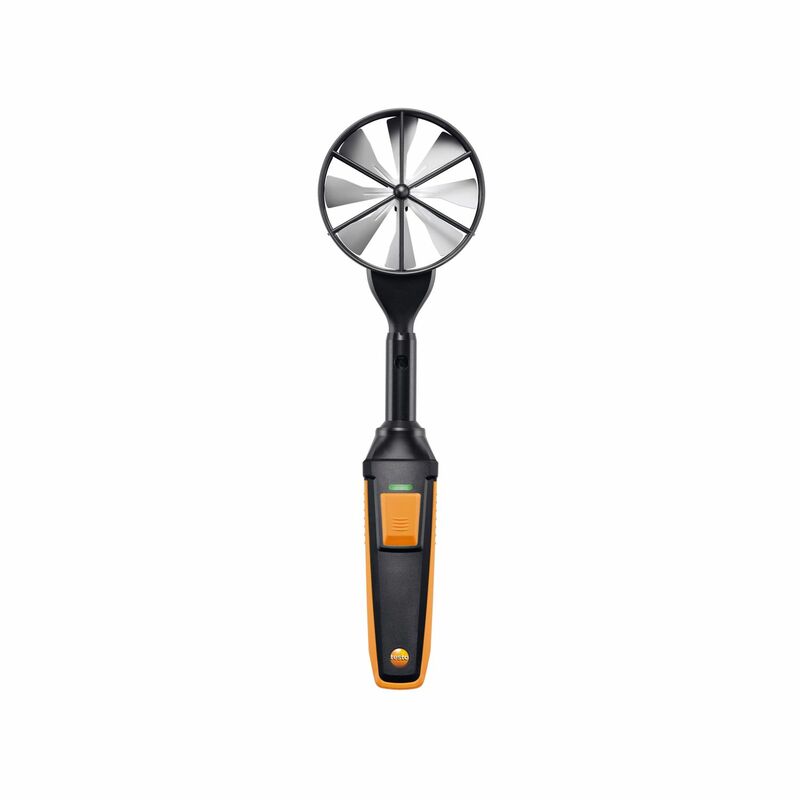 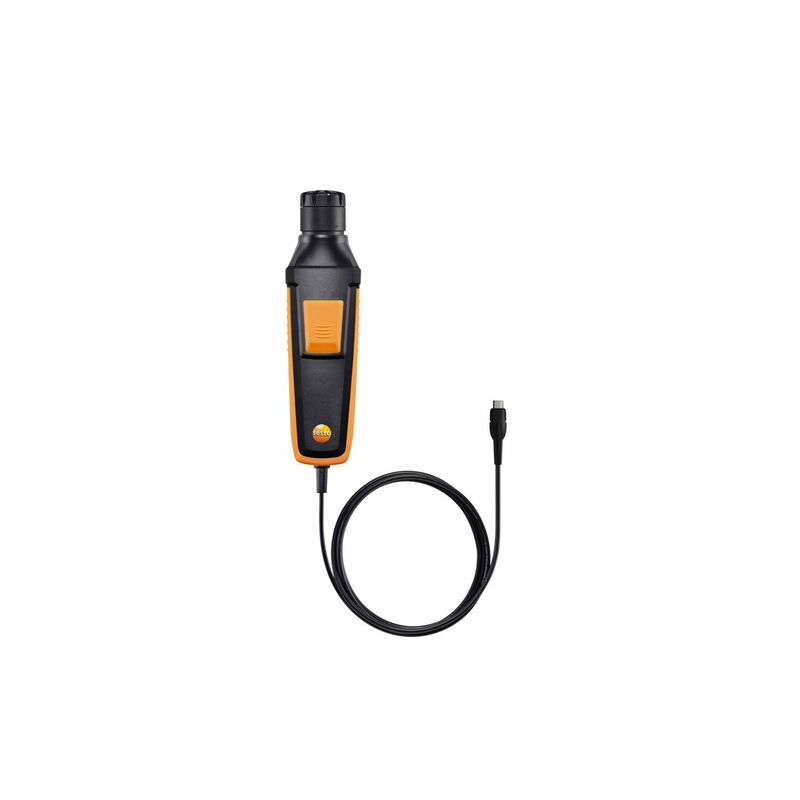 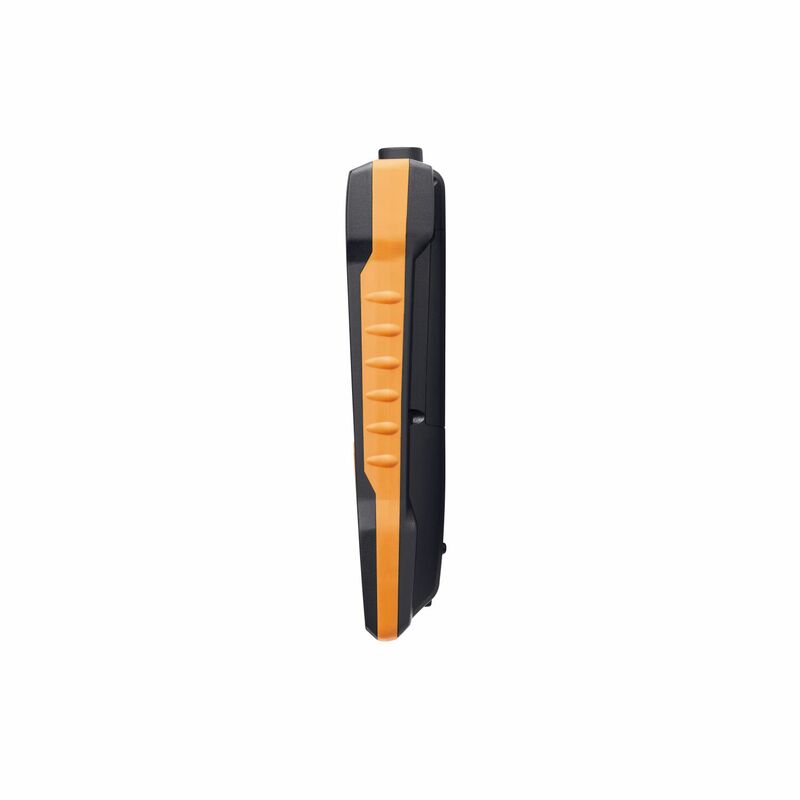 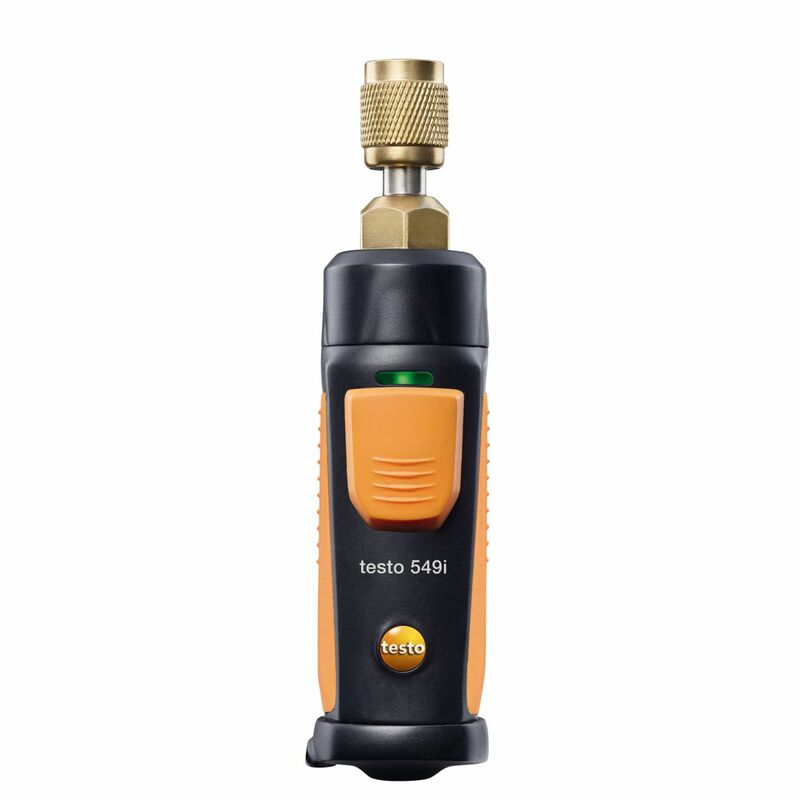 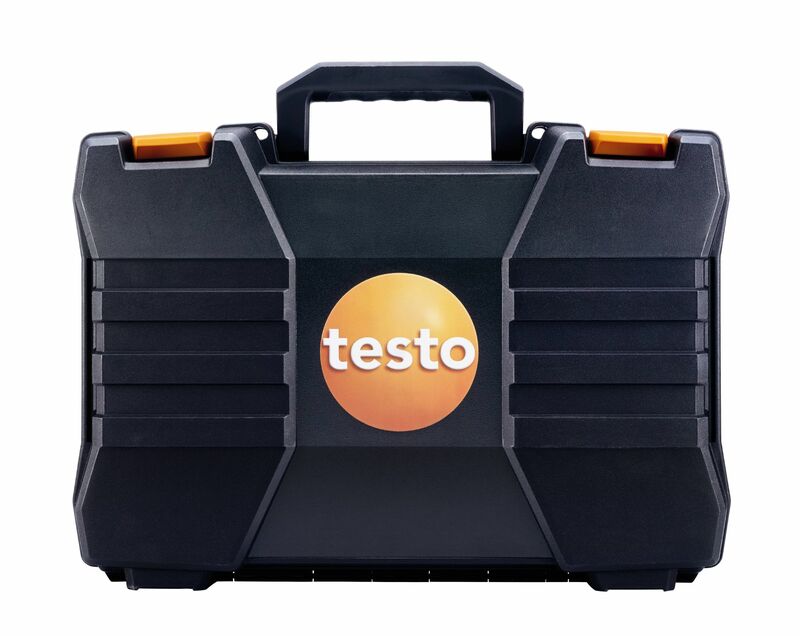 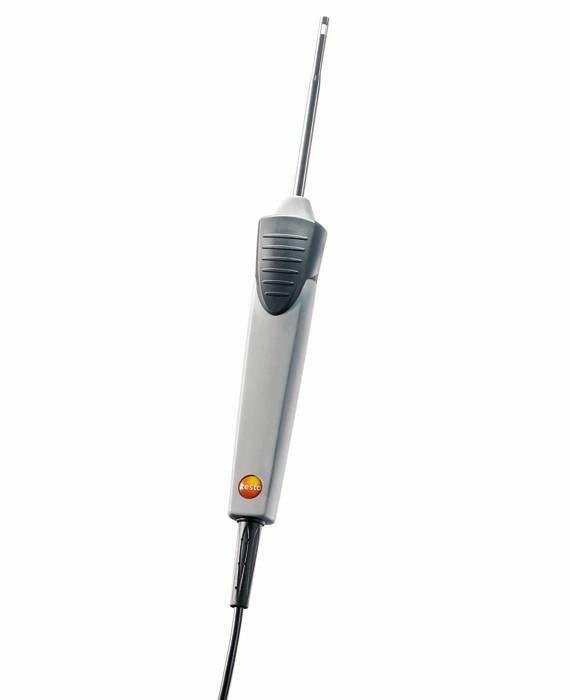 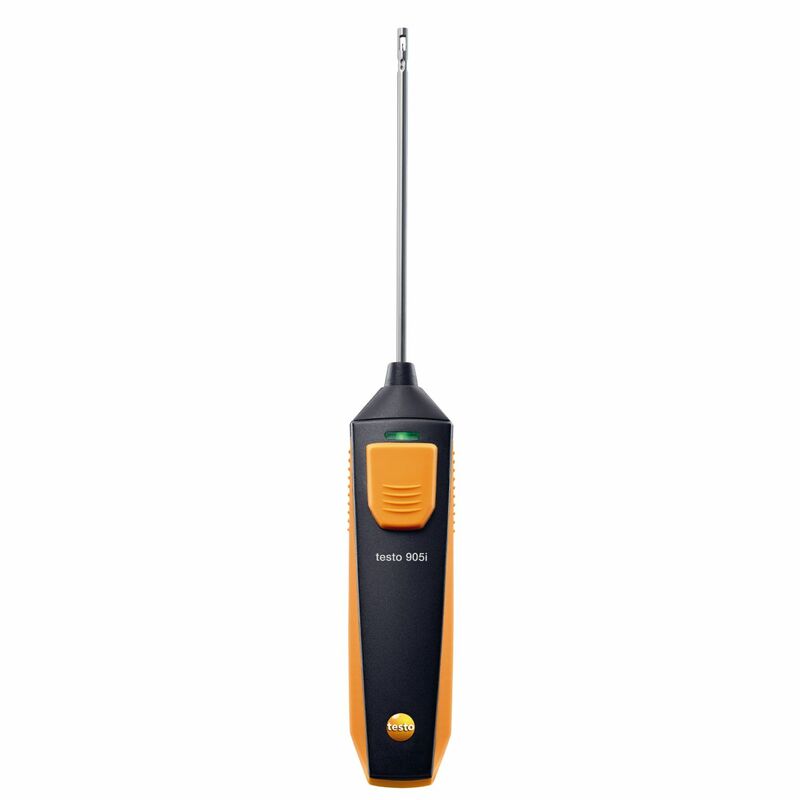 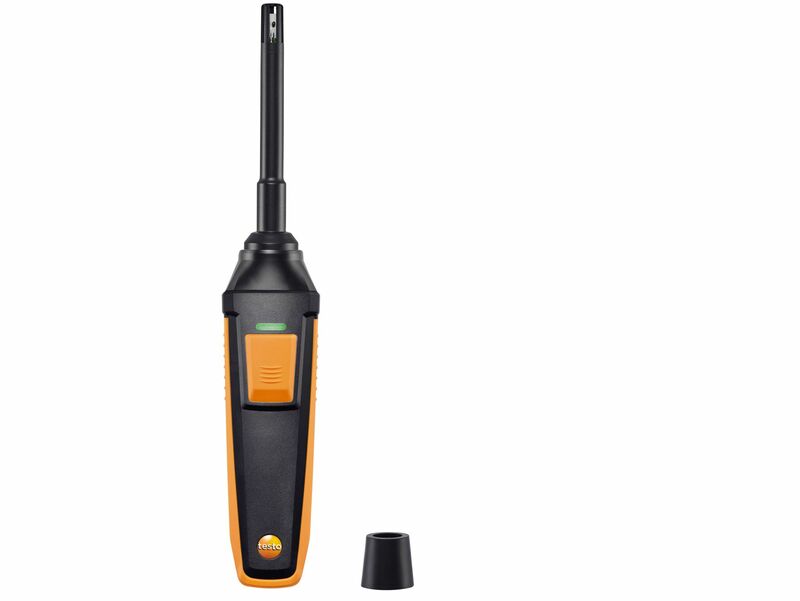 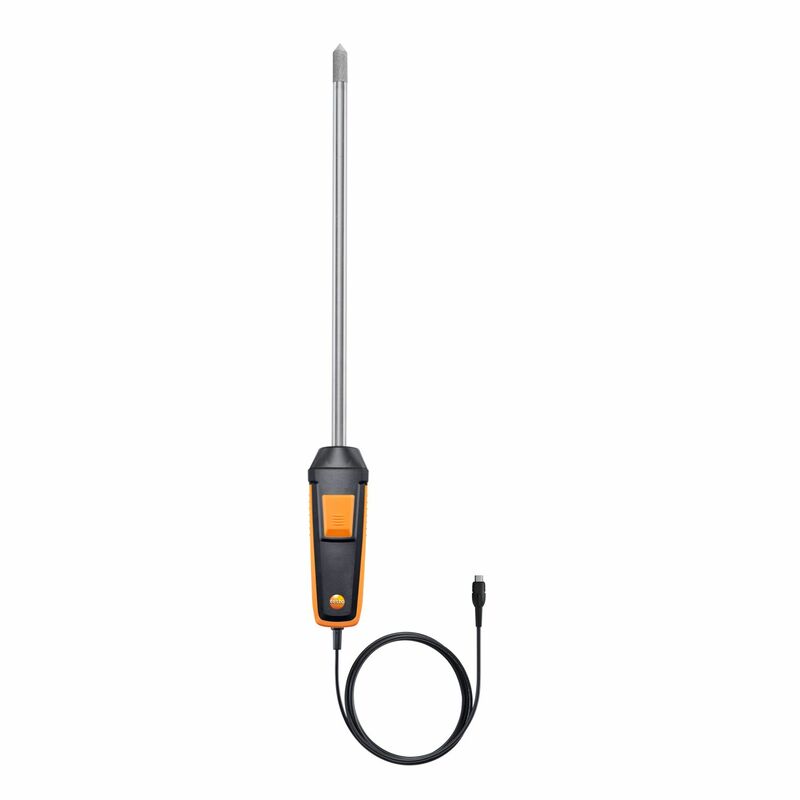 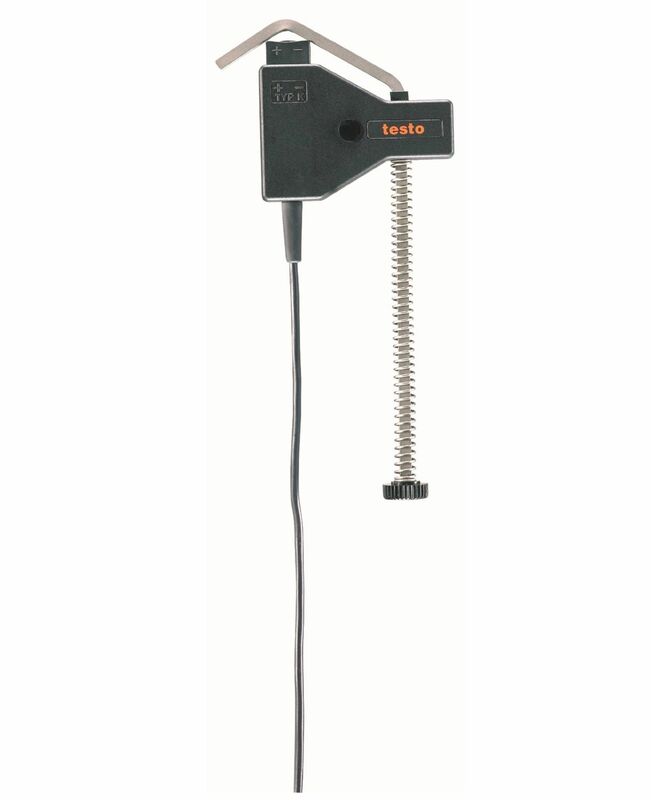 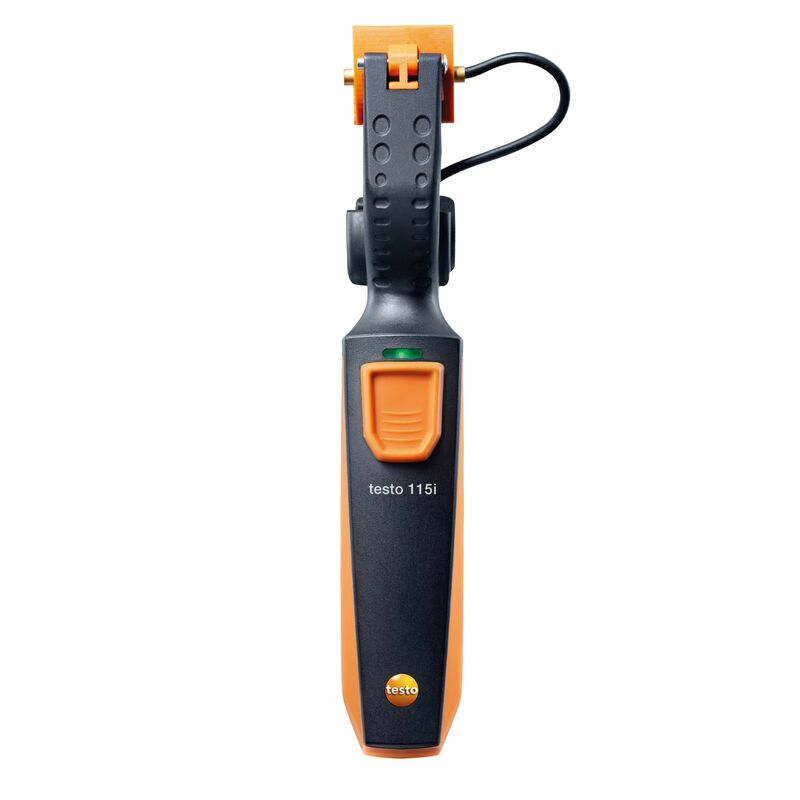 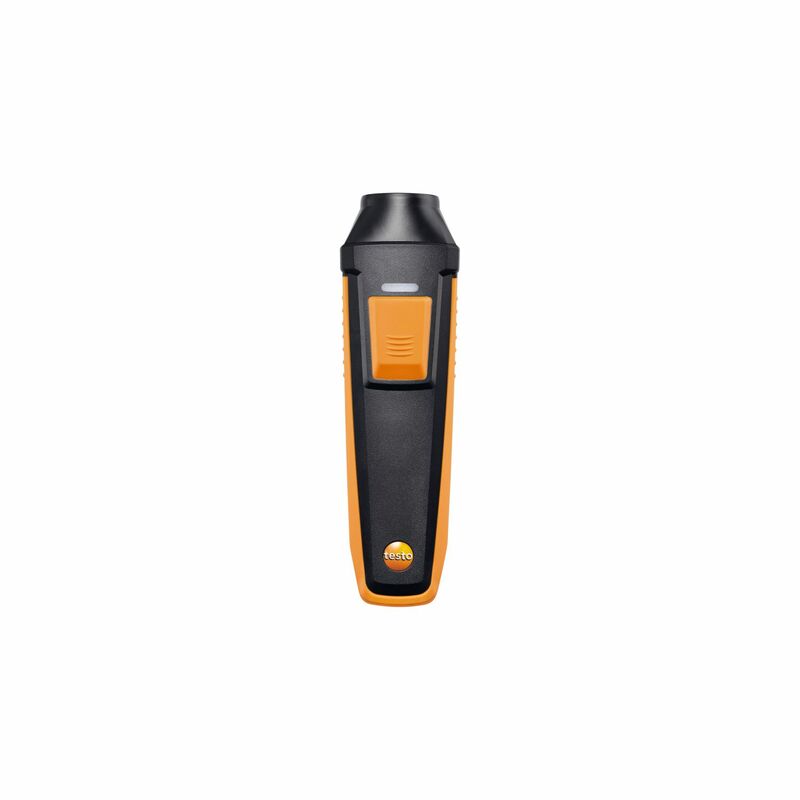 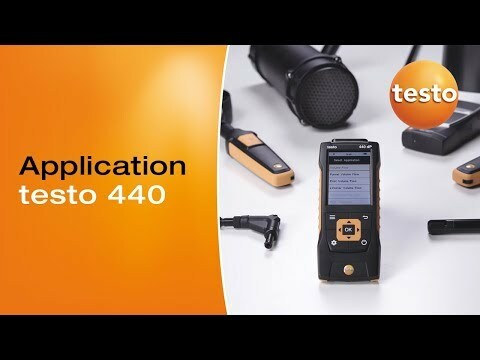 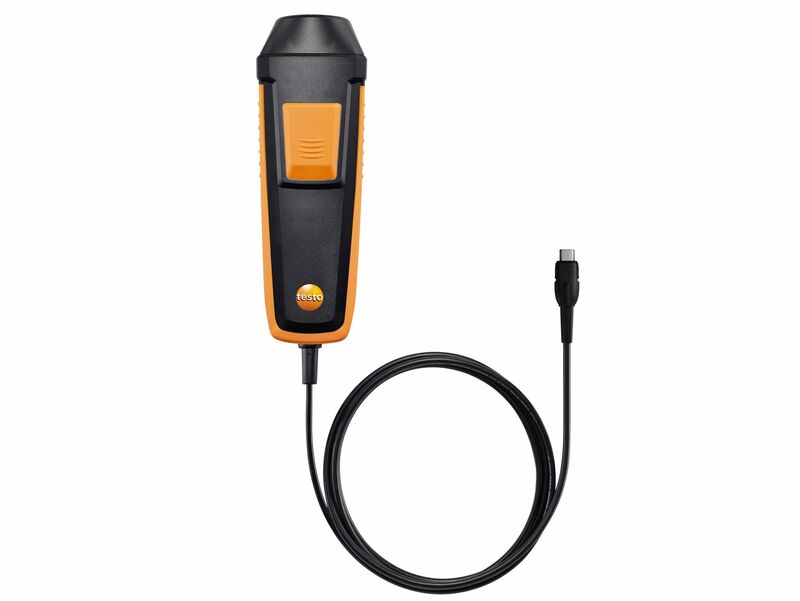 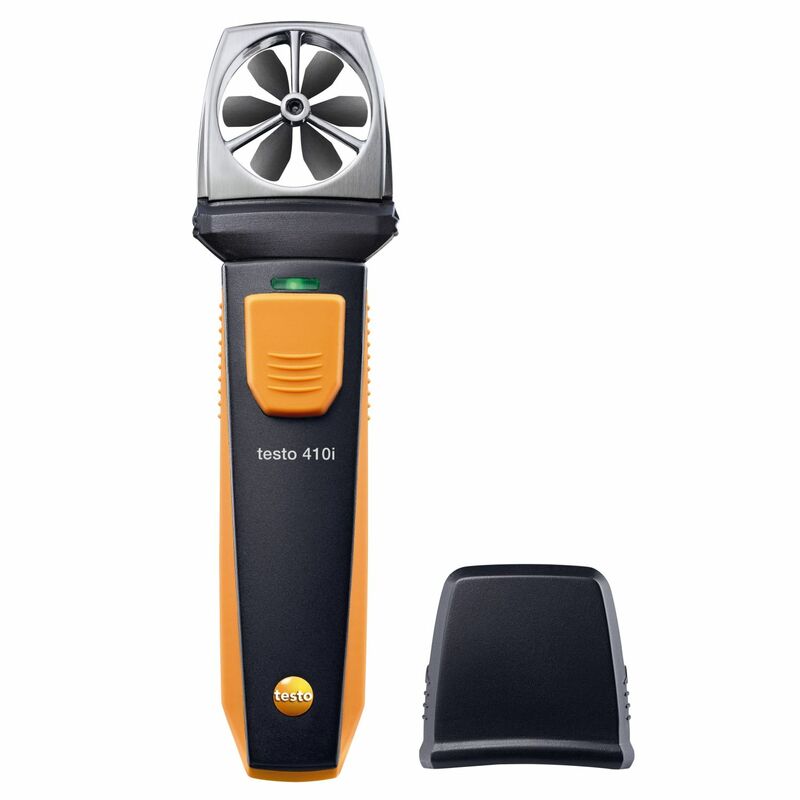 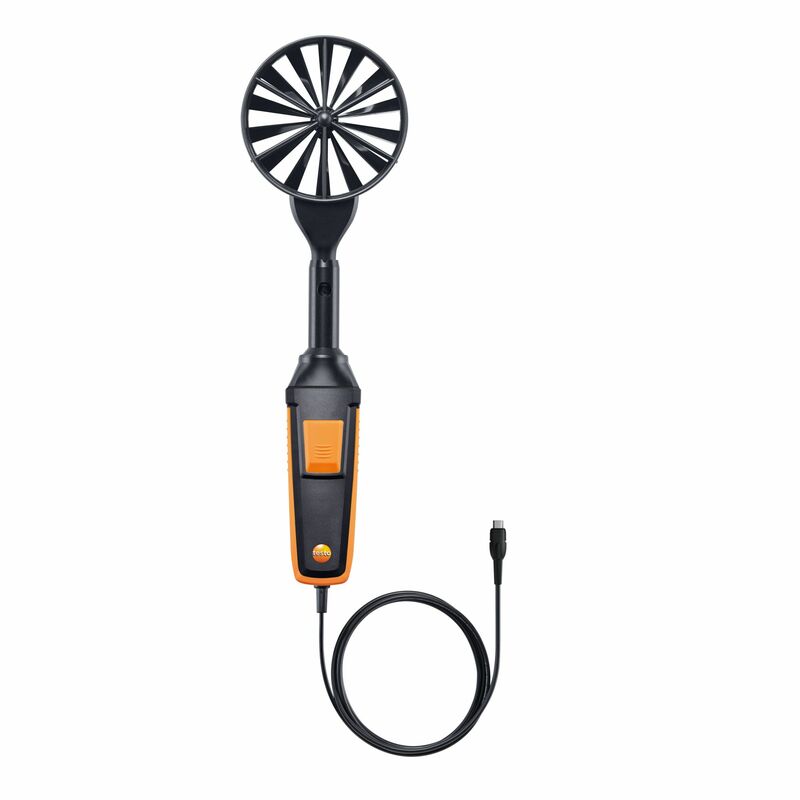 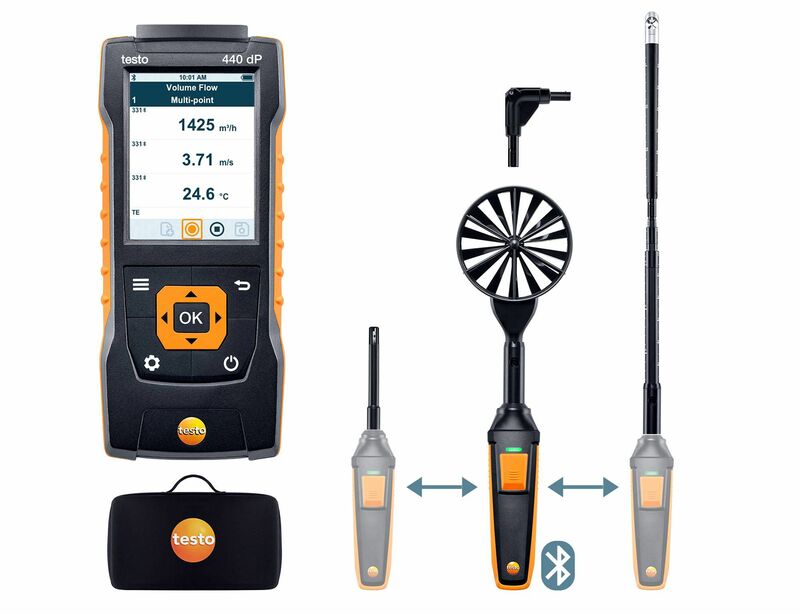 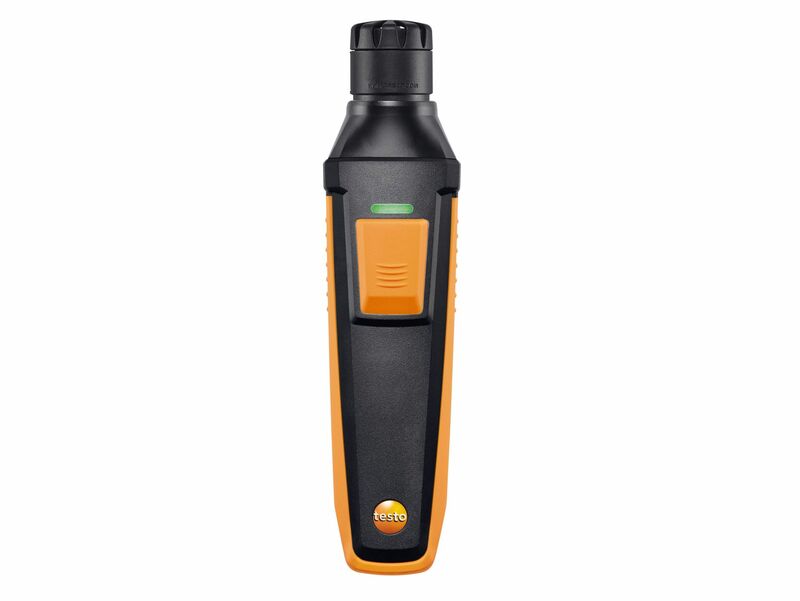 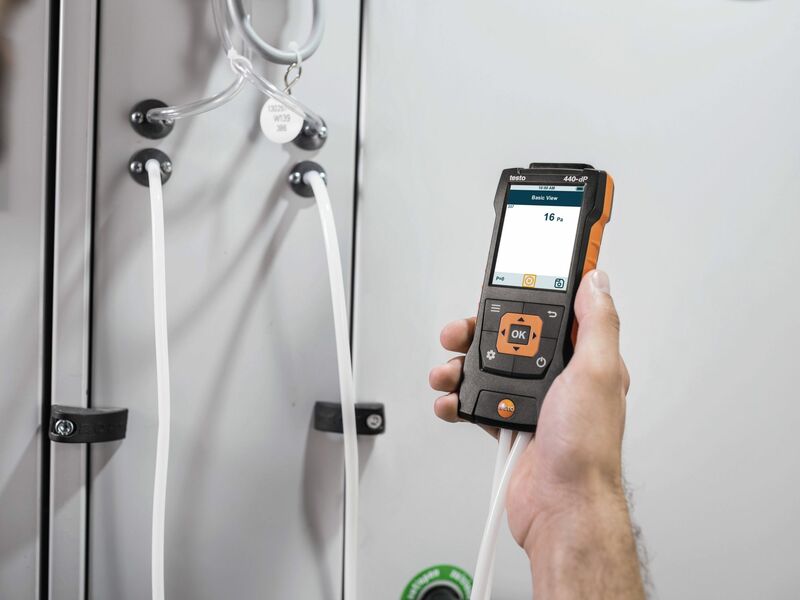 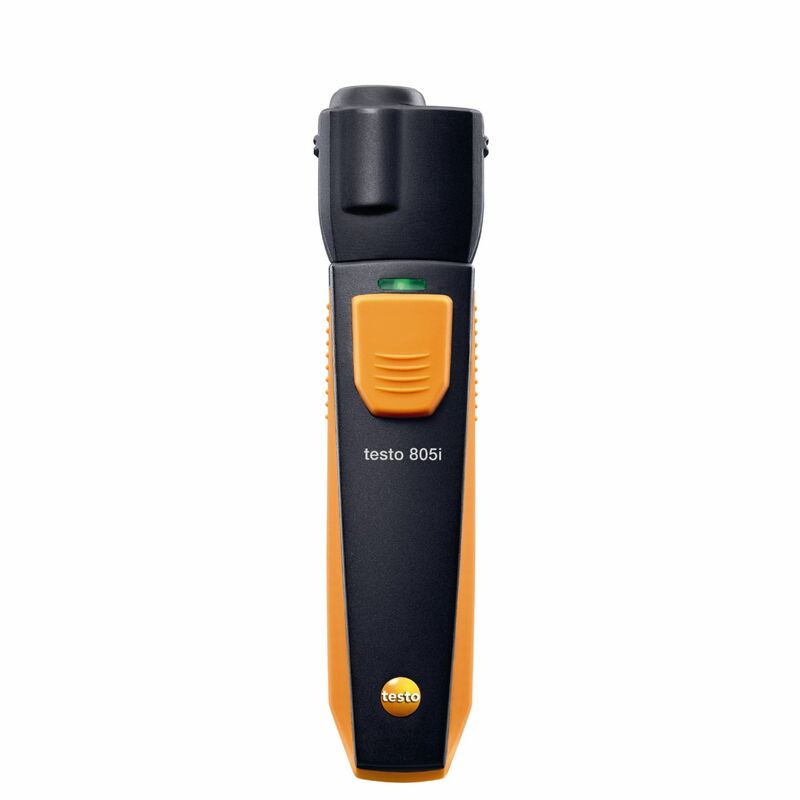 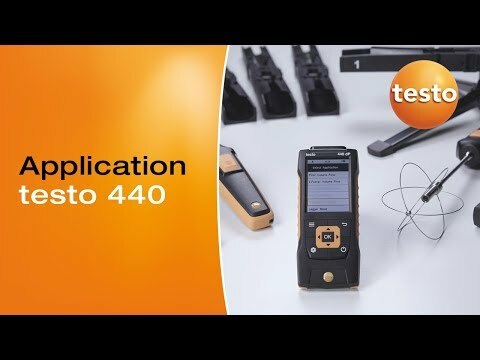 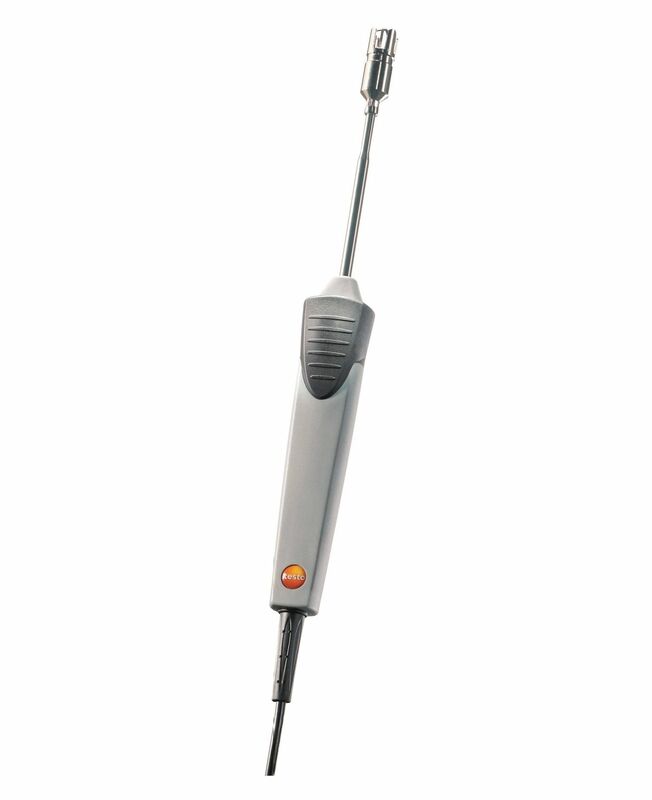 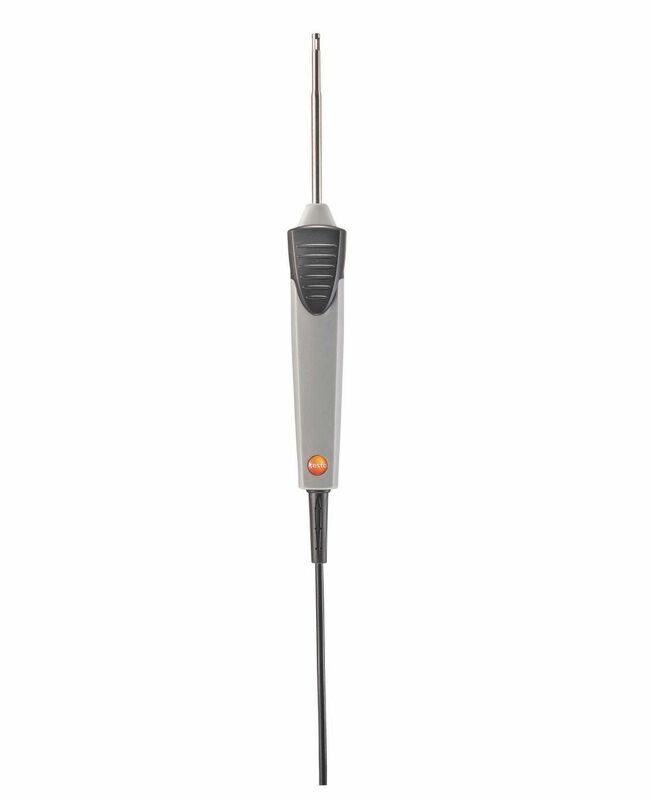 testo 440 dP air velocity and IAQ measuring instrument including integrated differential pressure sensor, connection hose, 3 x AA batteries, USB cable and calibration protocol.